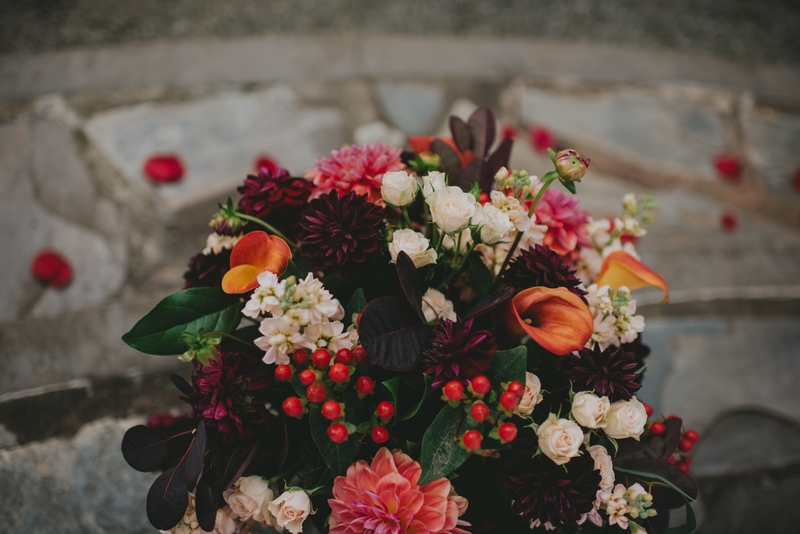 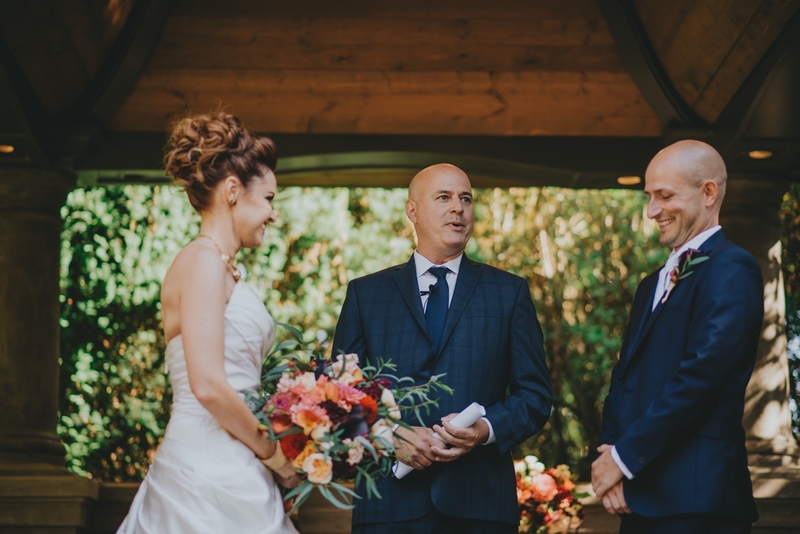 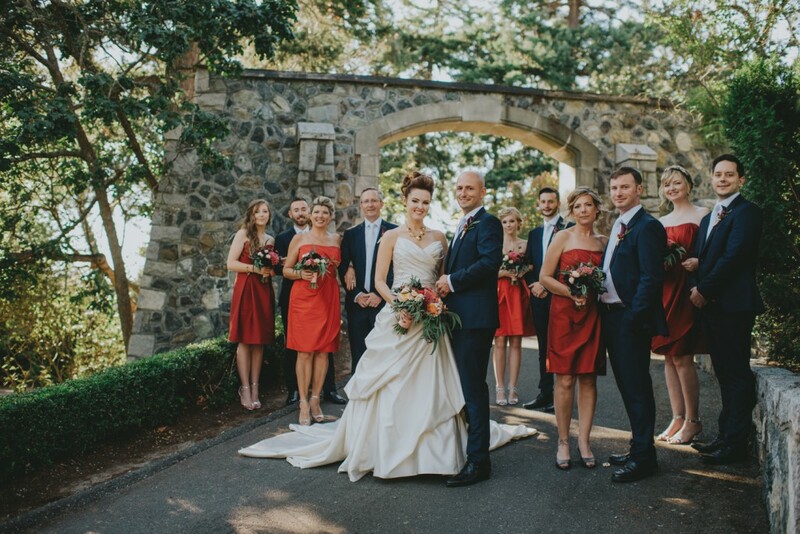 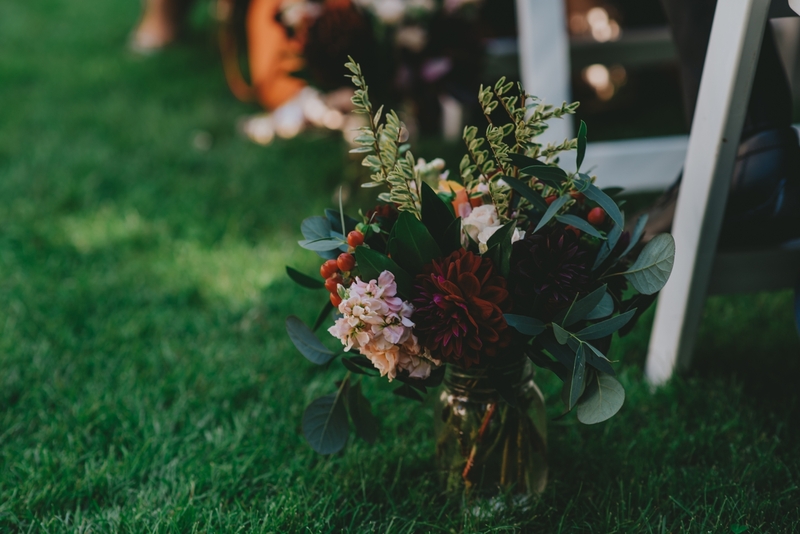 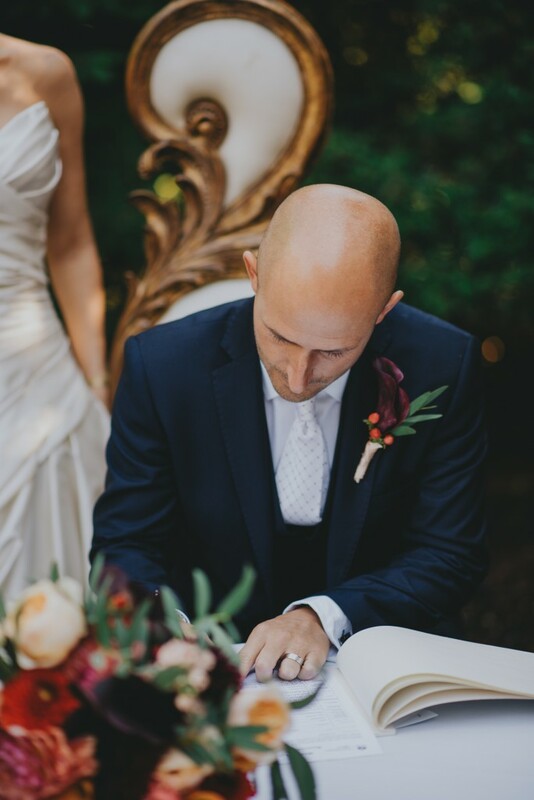 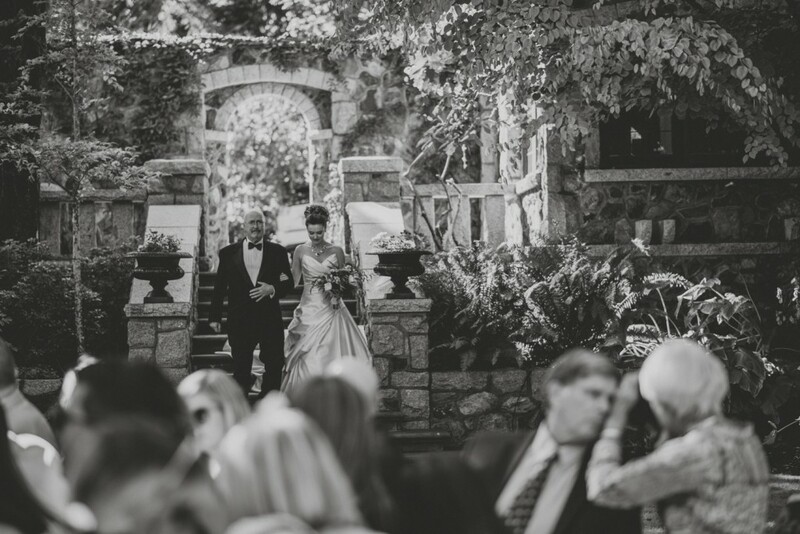 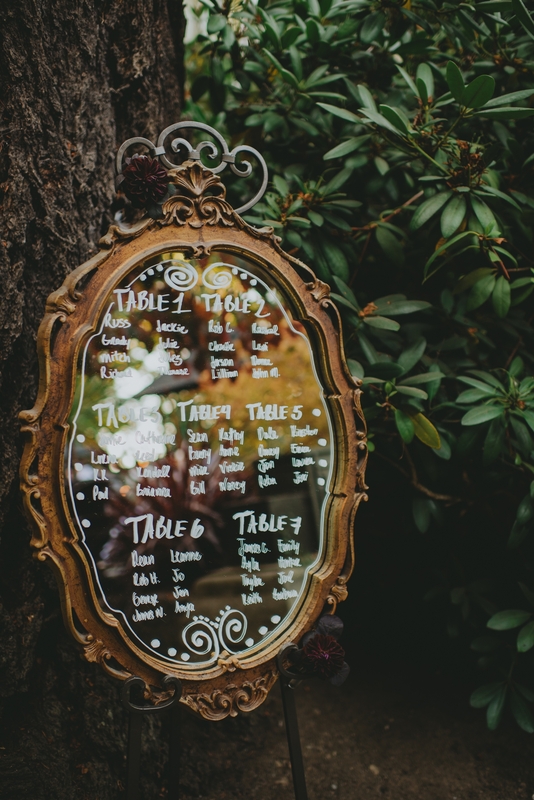 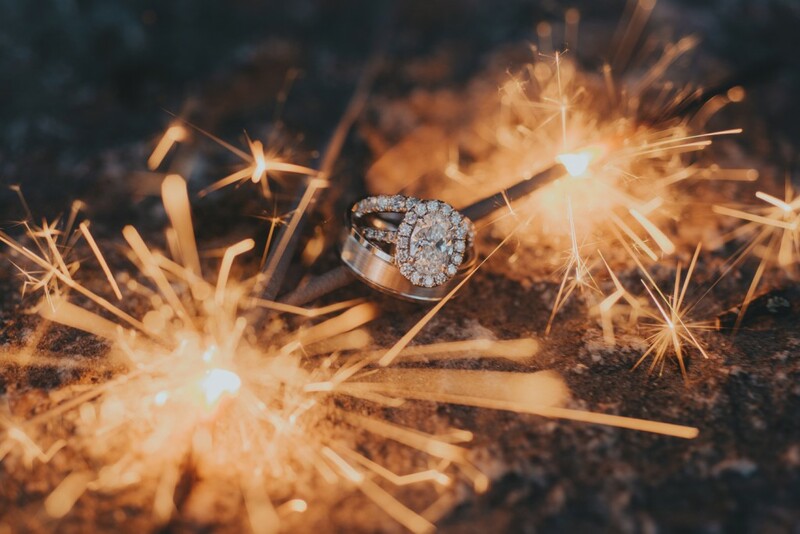 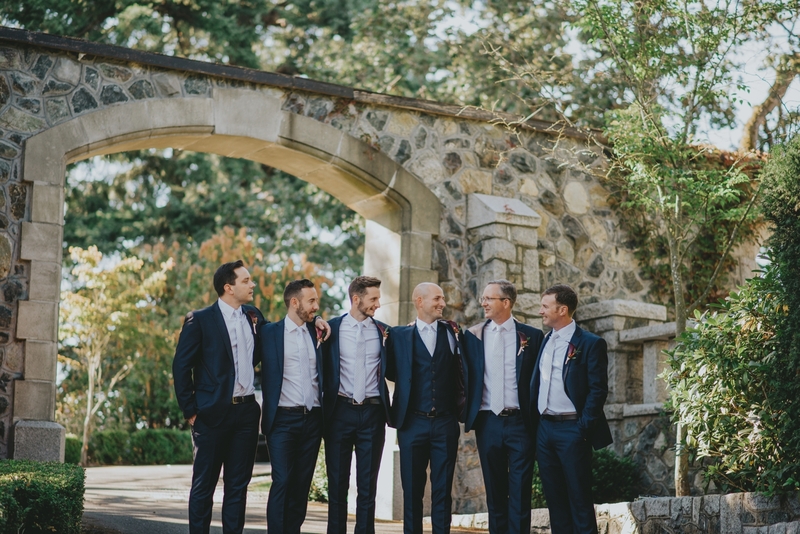 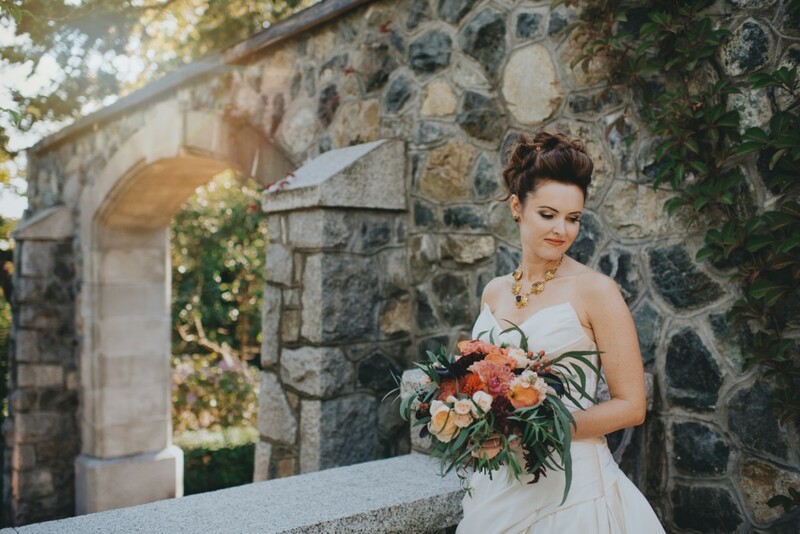 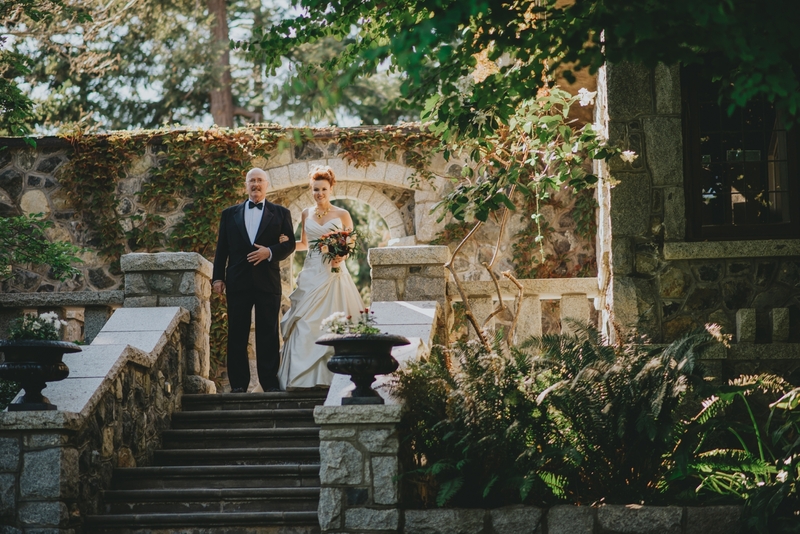 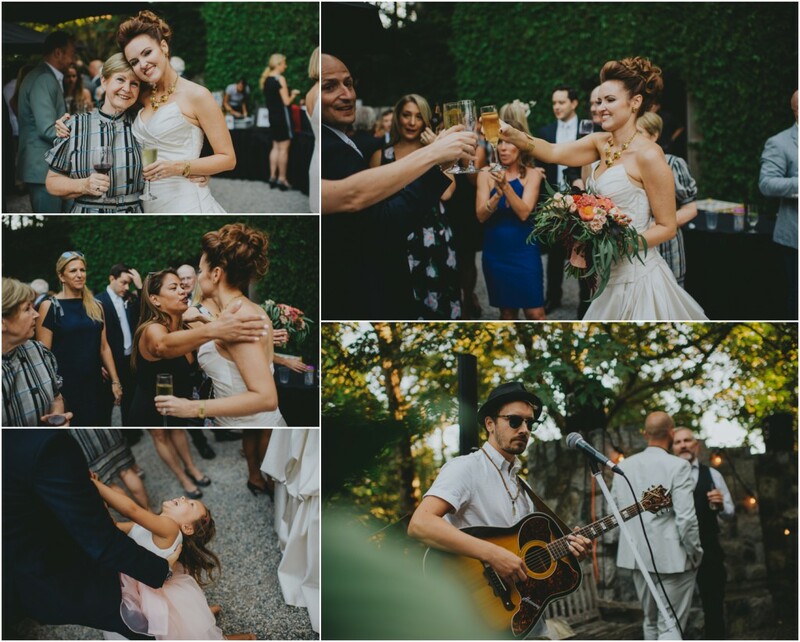 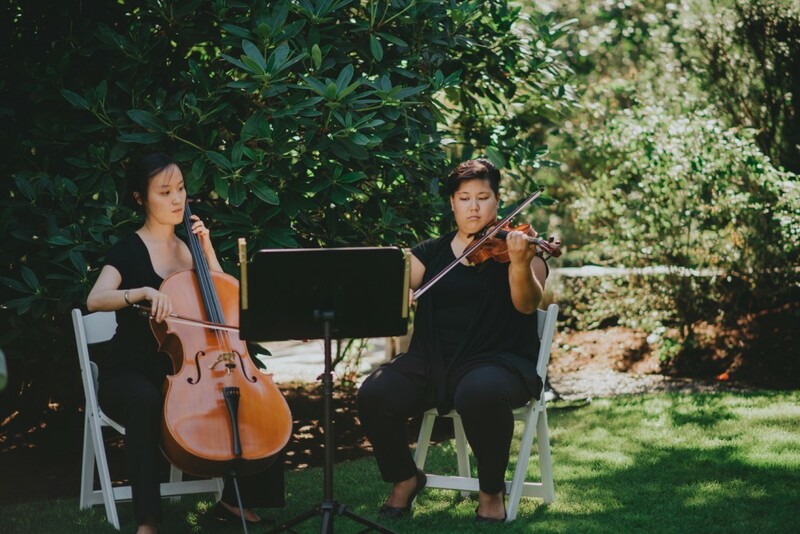 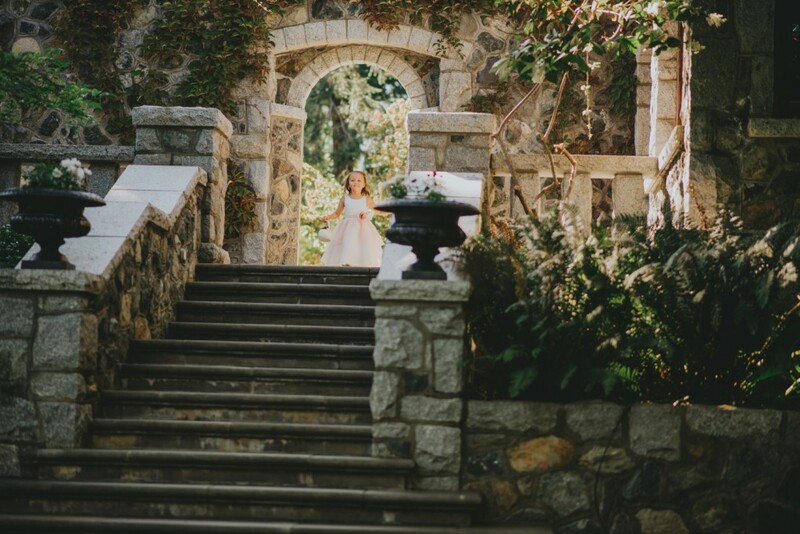 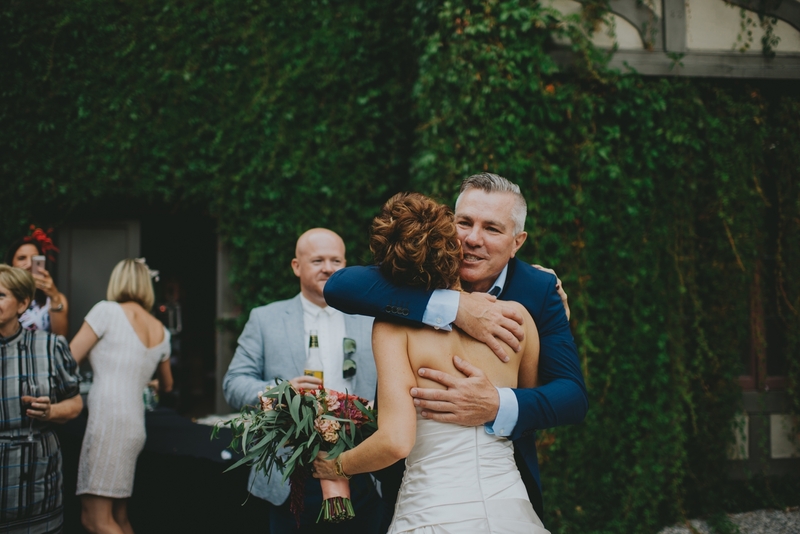 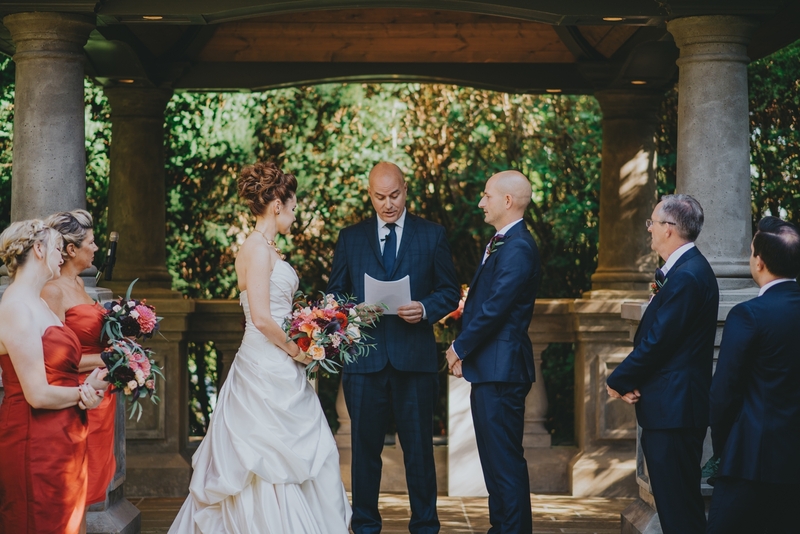 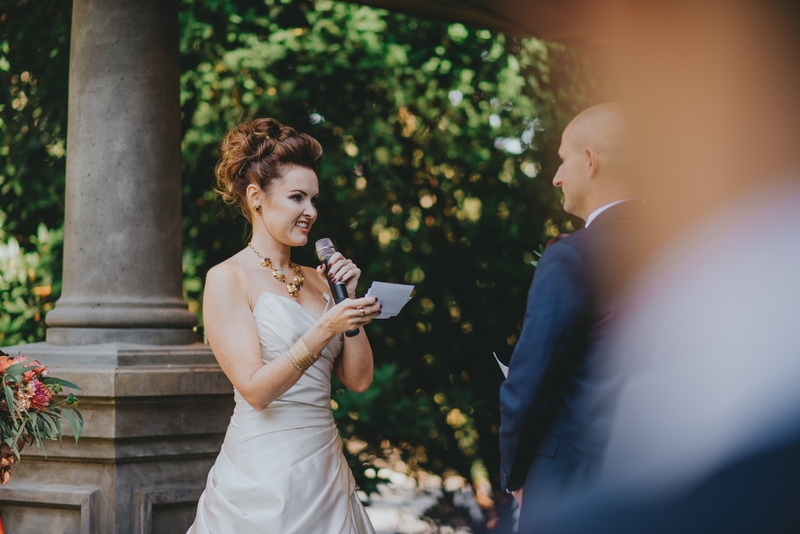 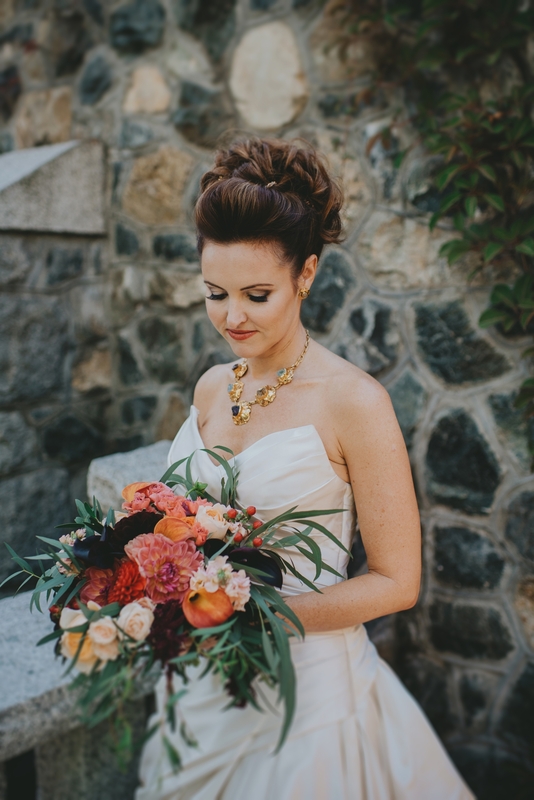 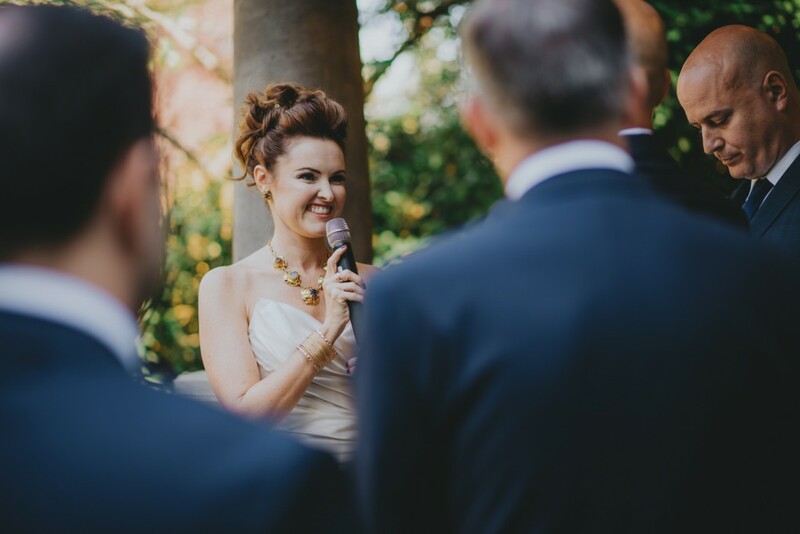 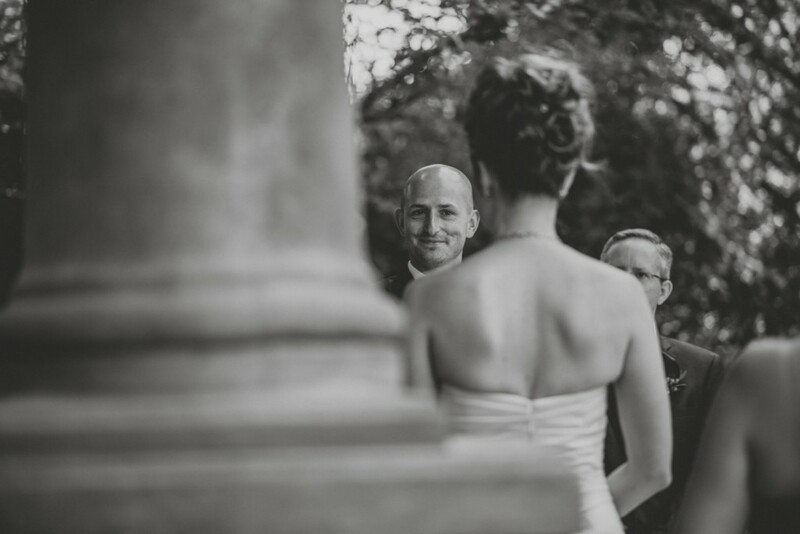 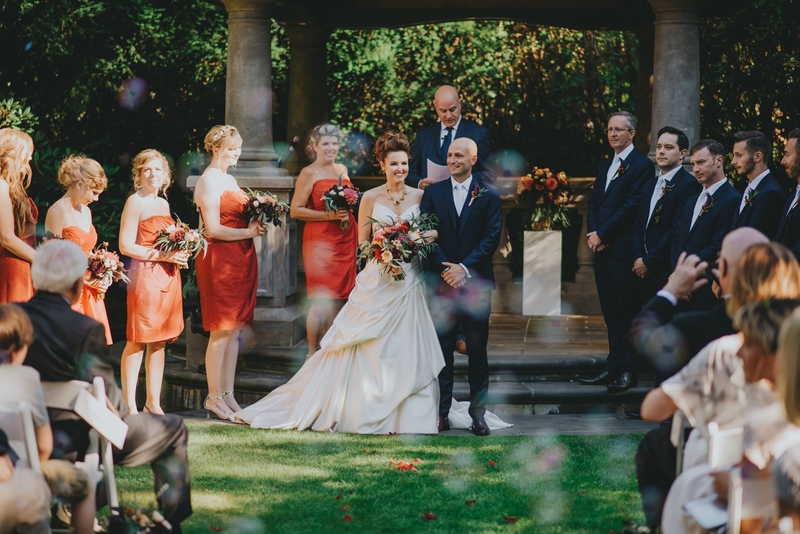 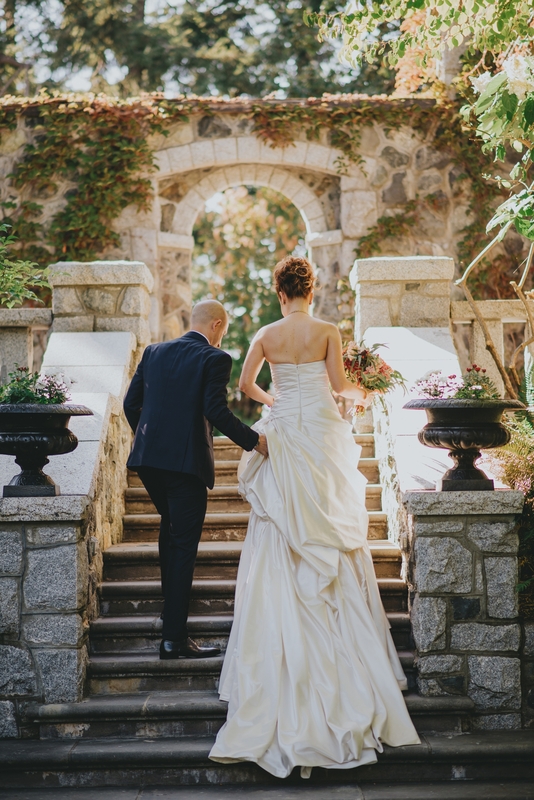 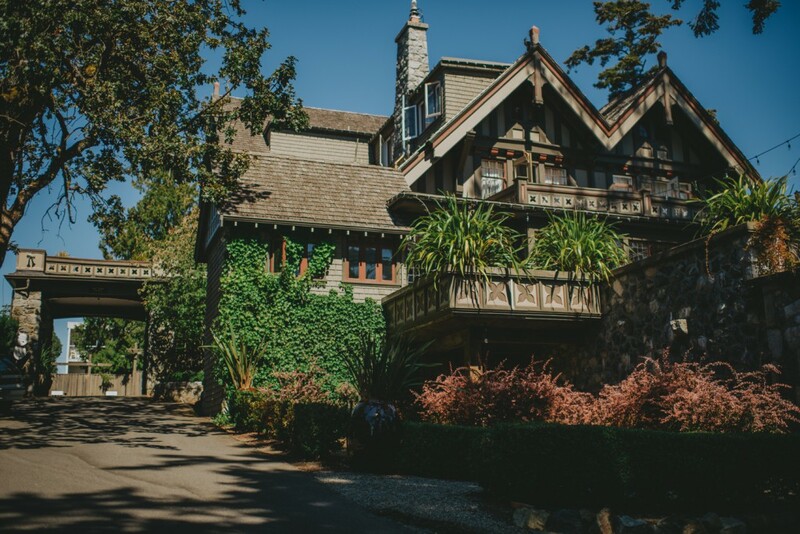 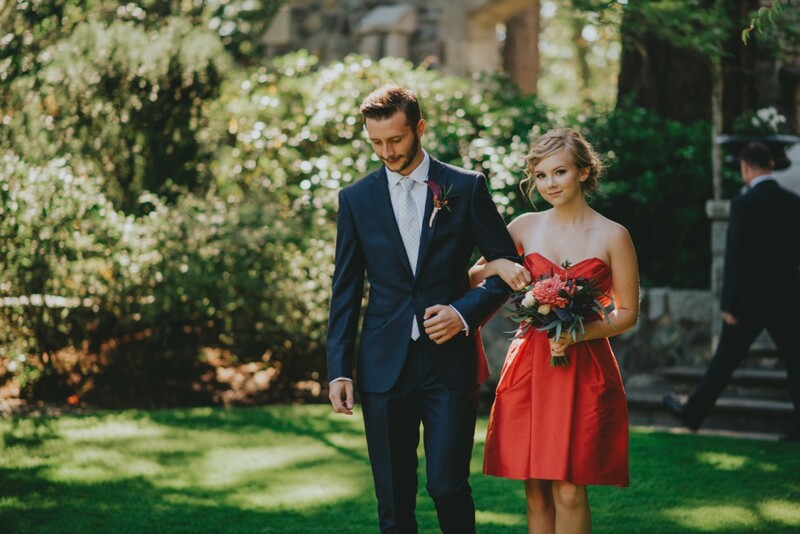 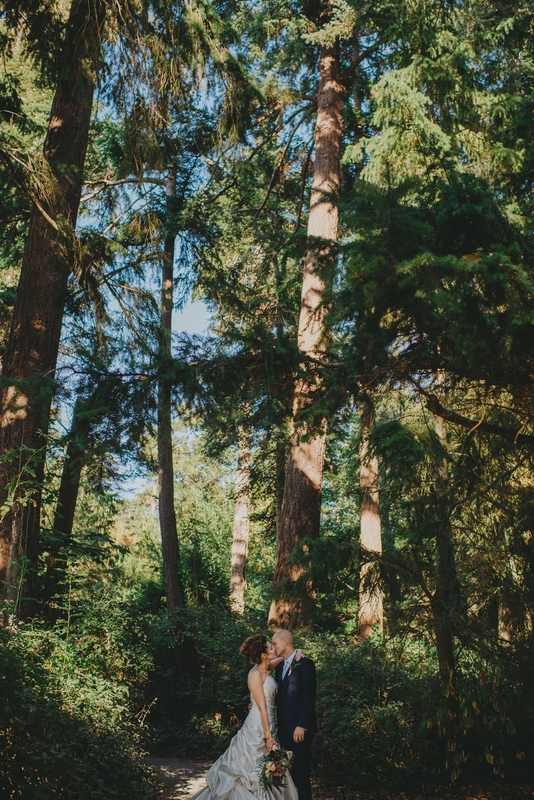 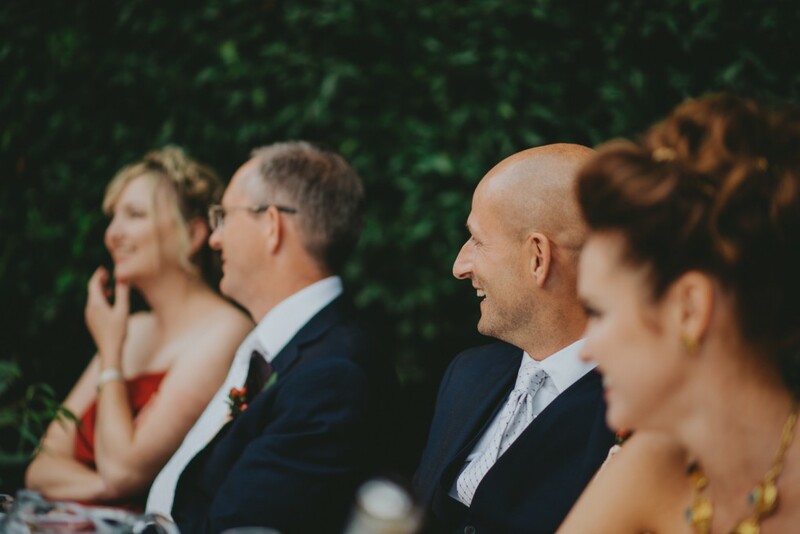 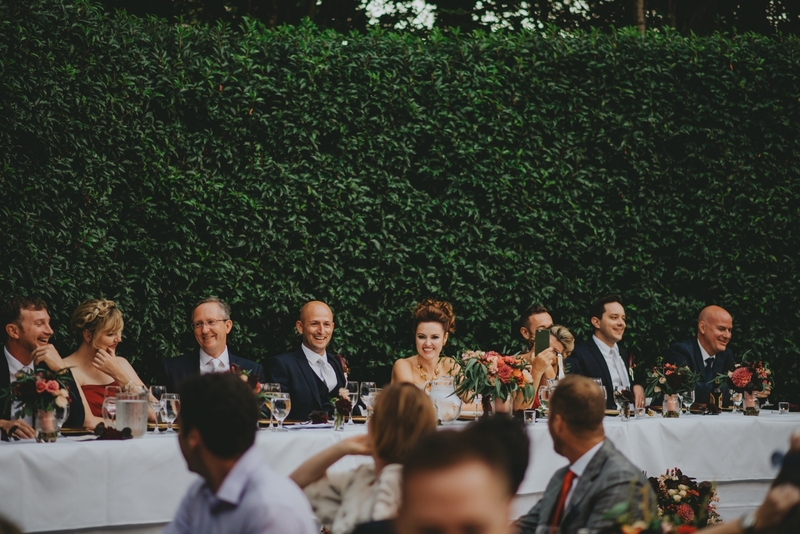 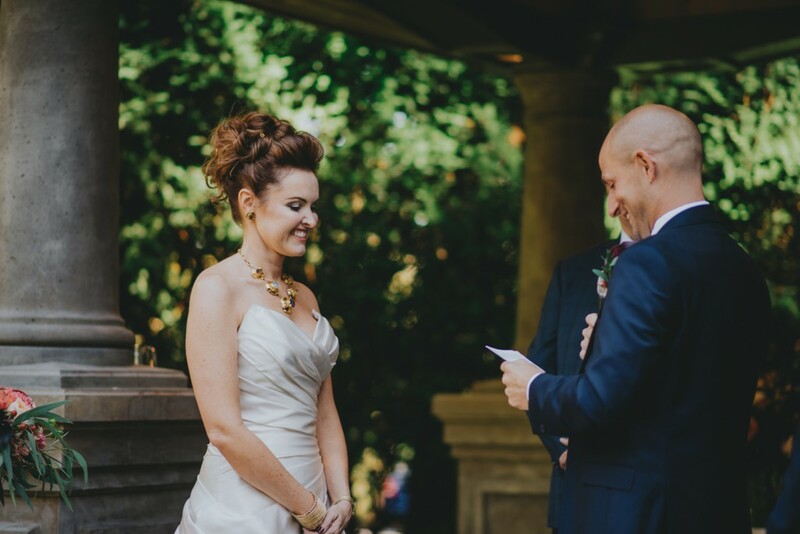 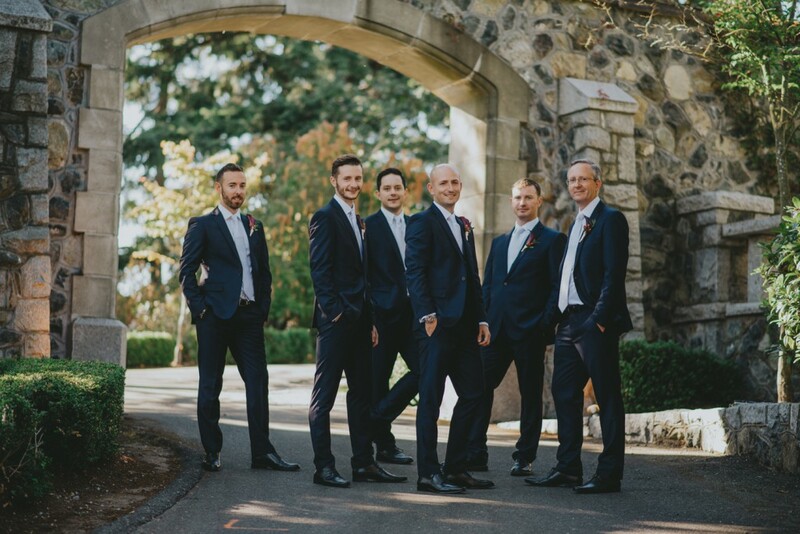 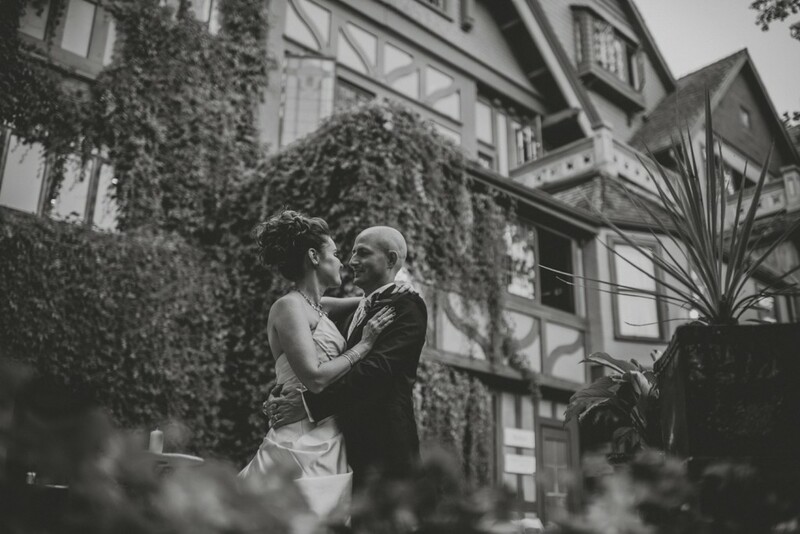 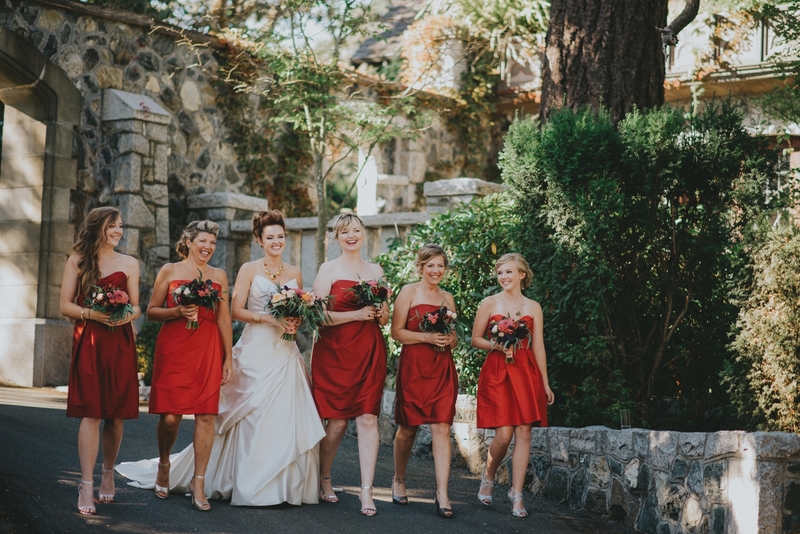 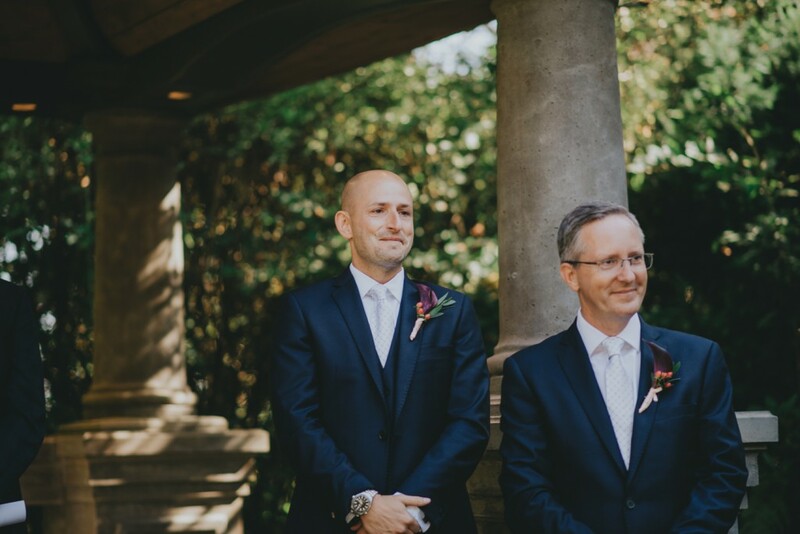 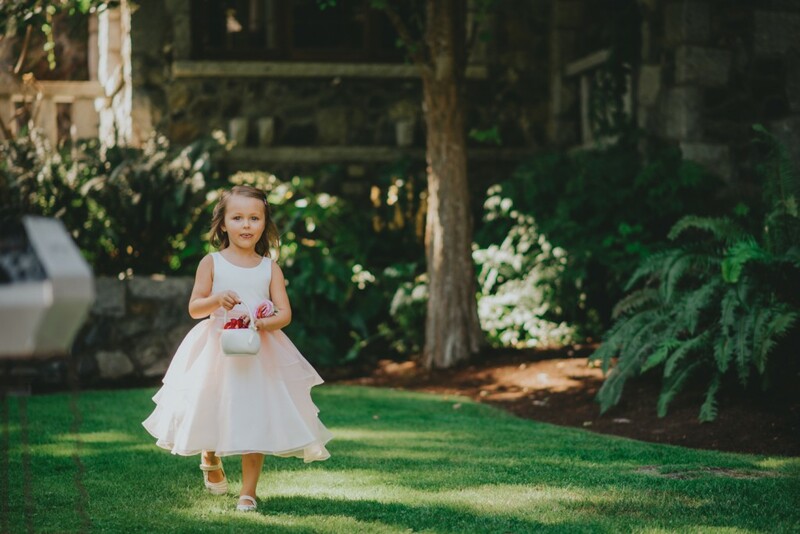 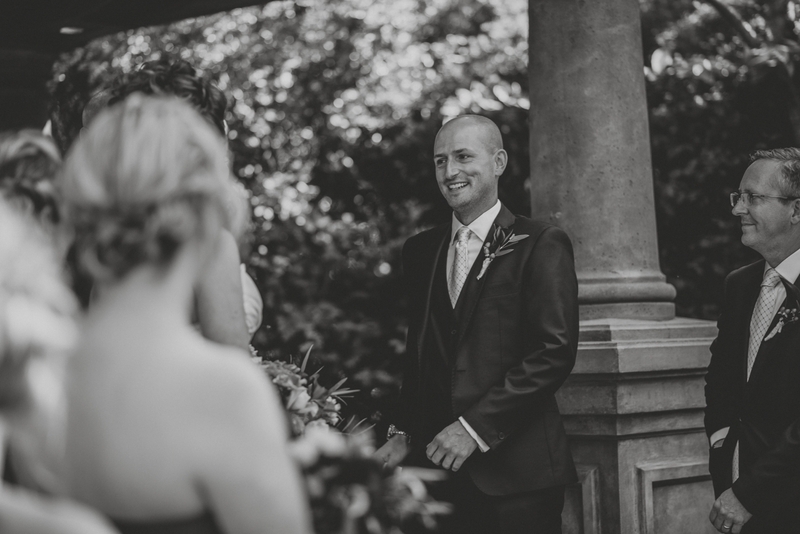 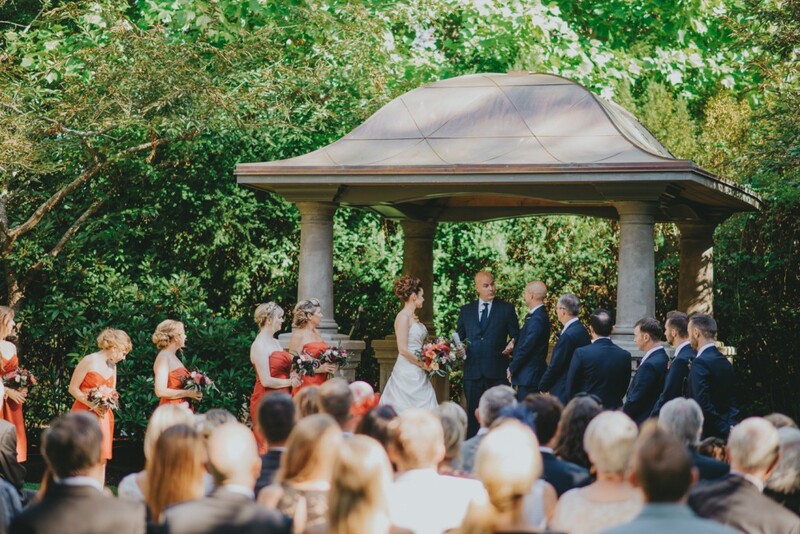 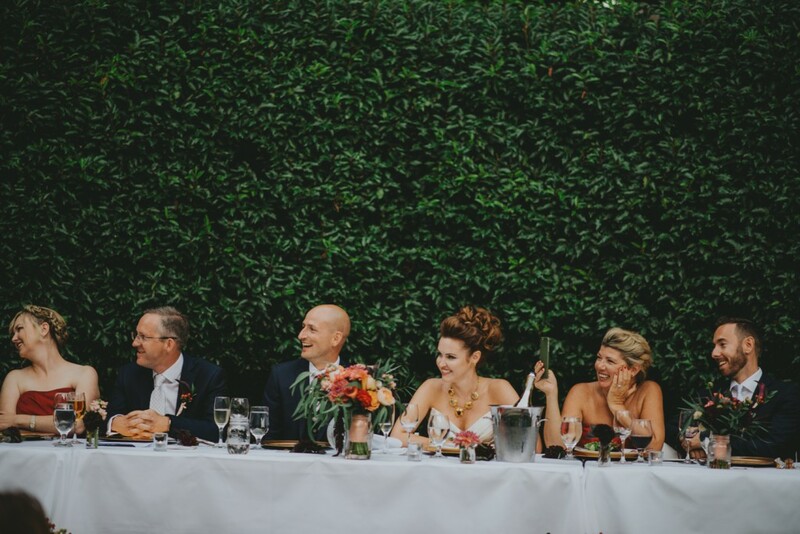 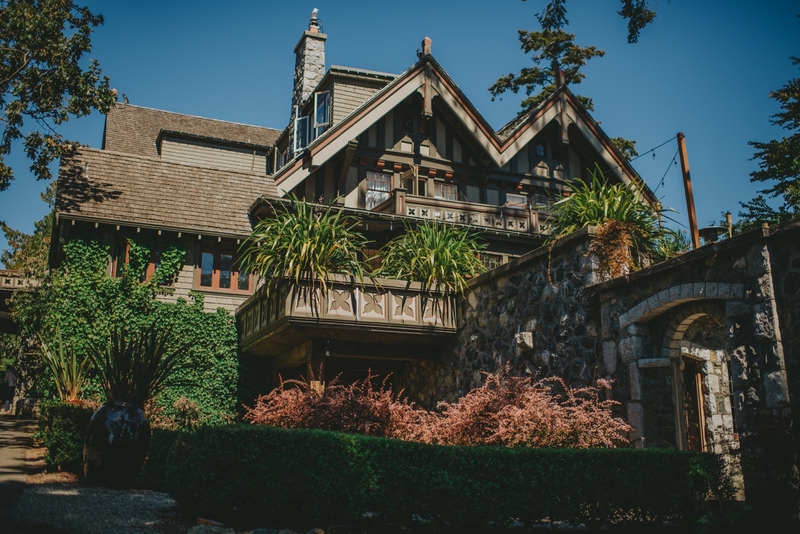 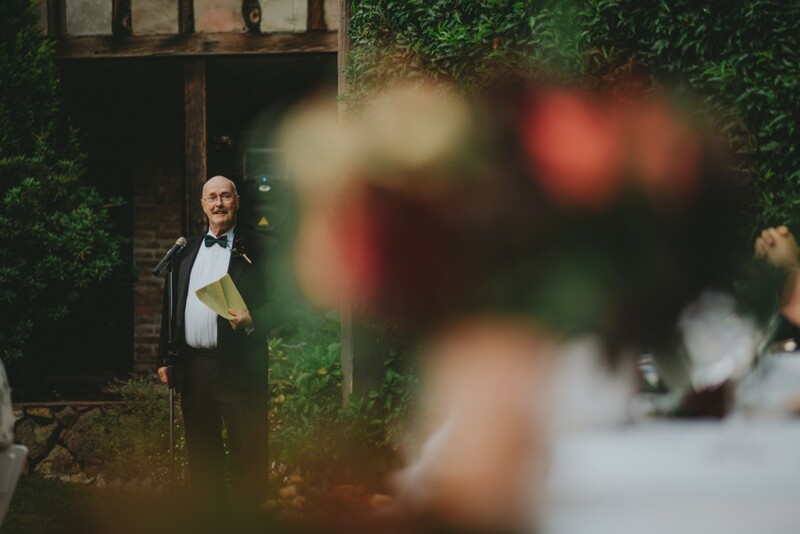 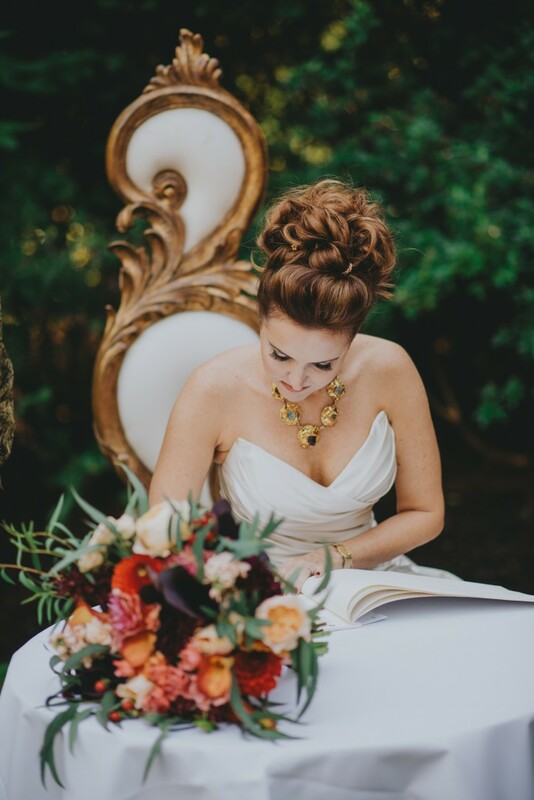 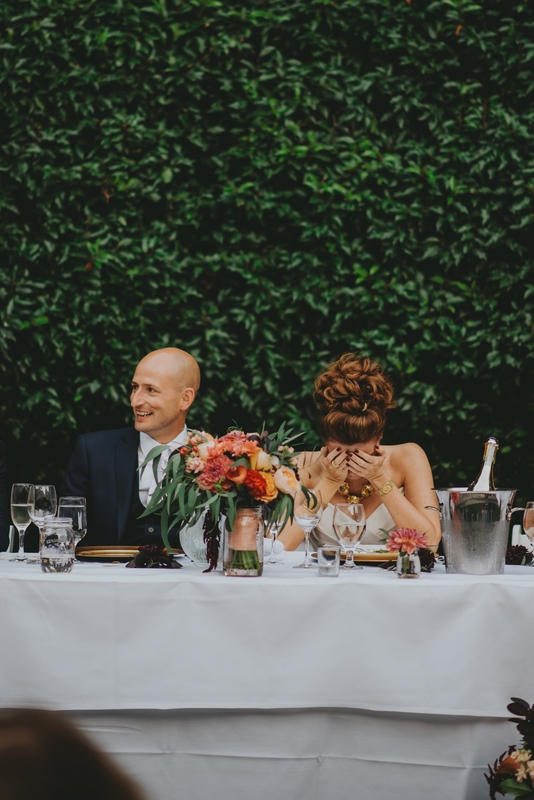 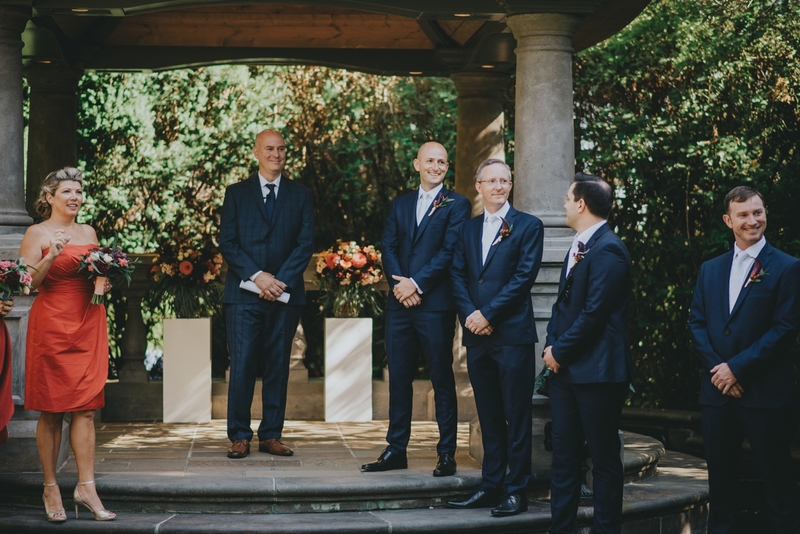 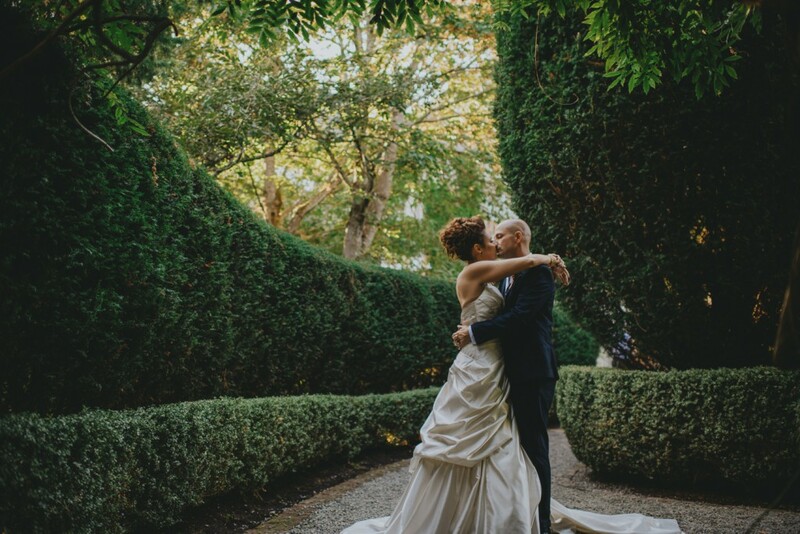 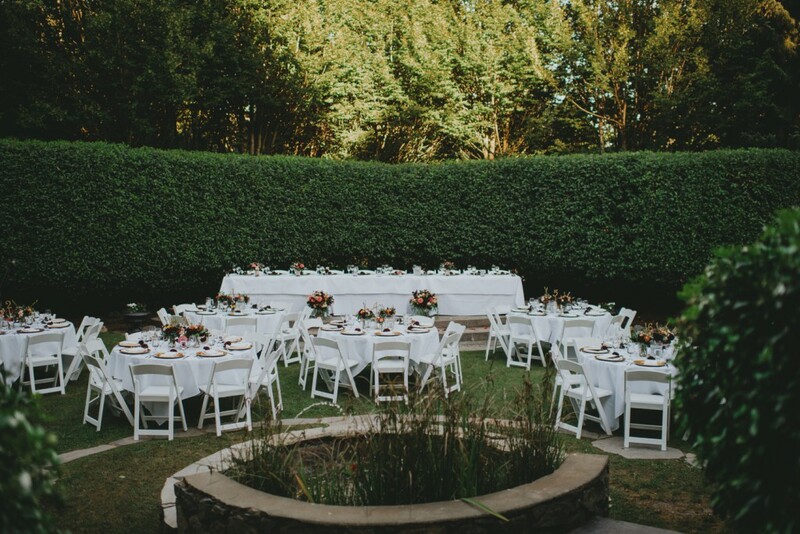 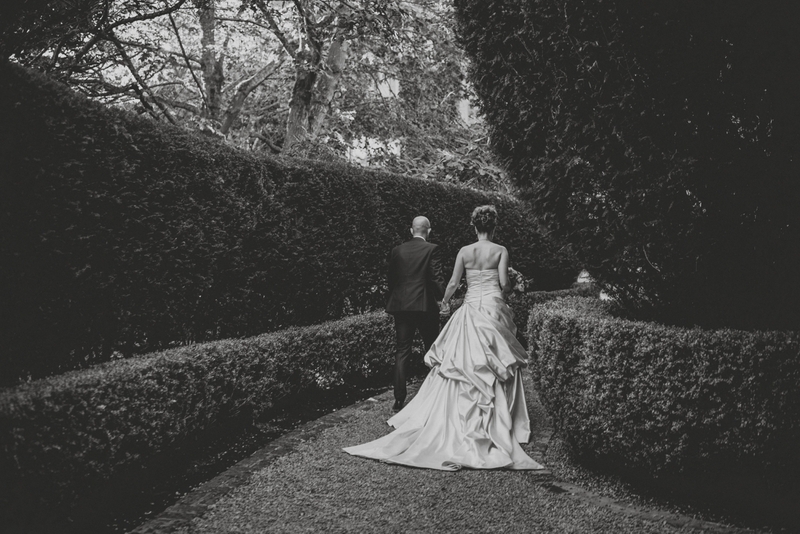 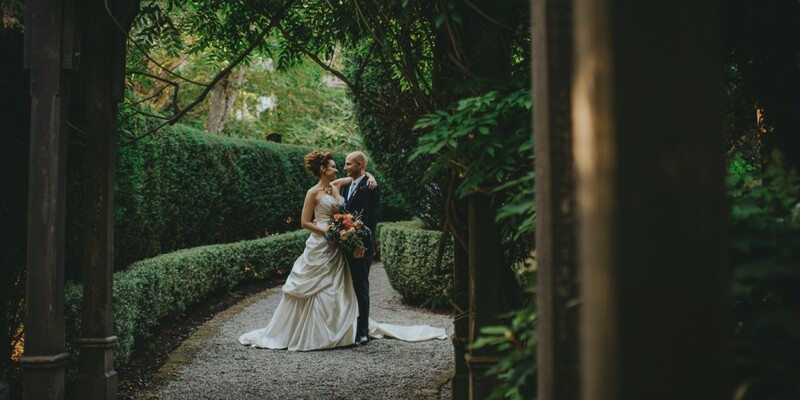 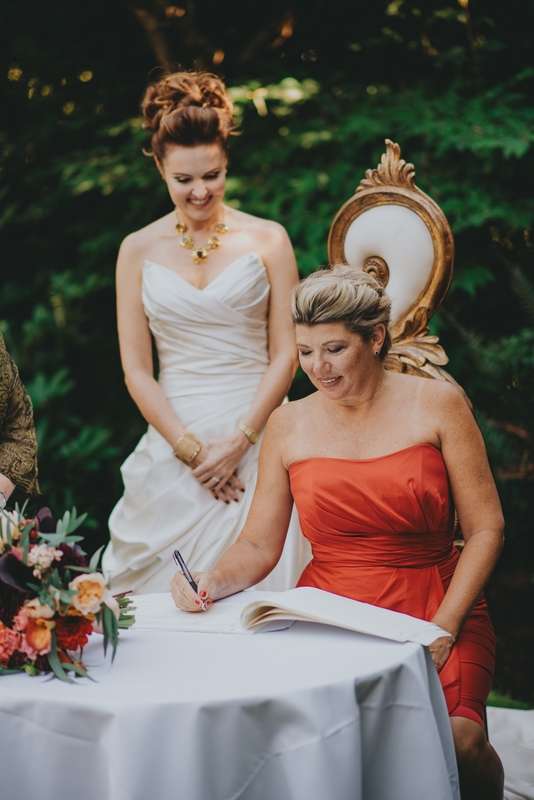 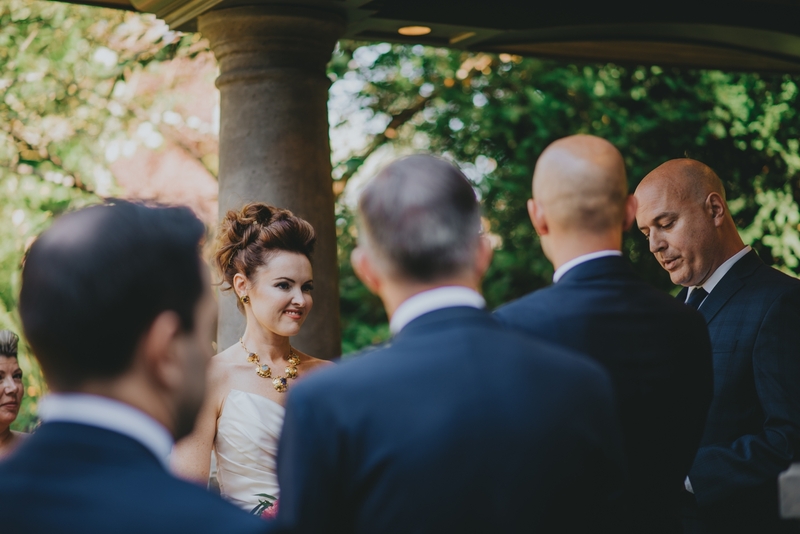 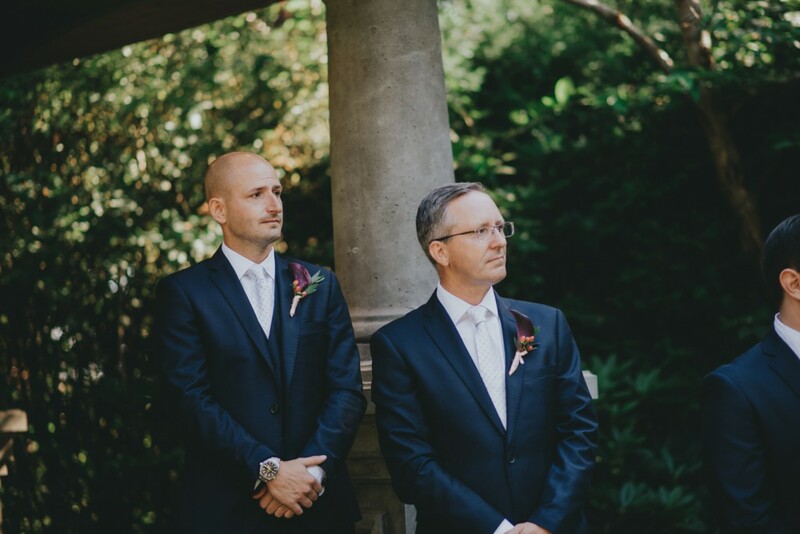 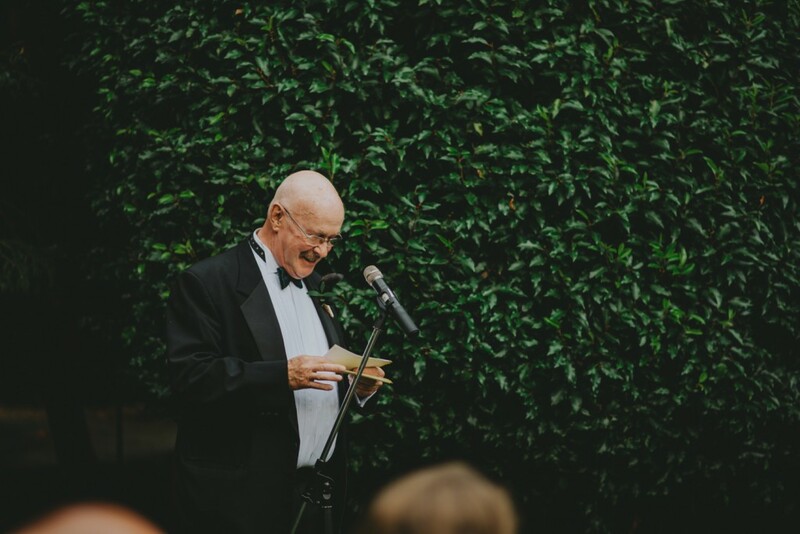 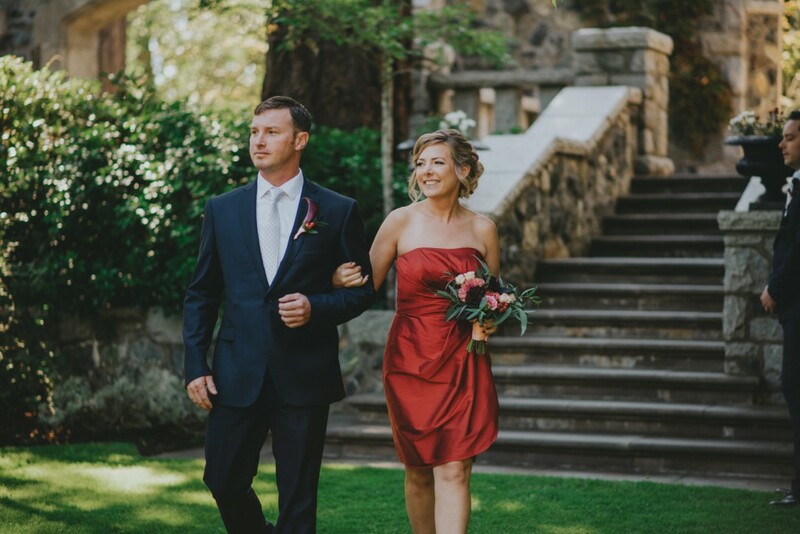 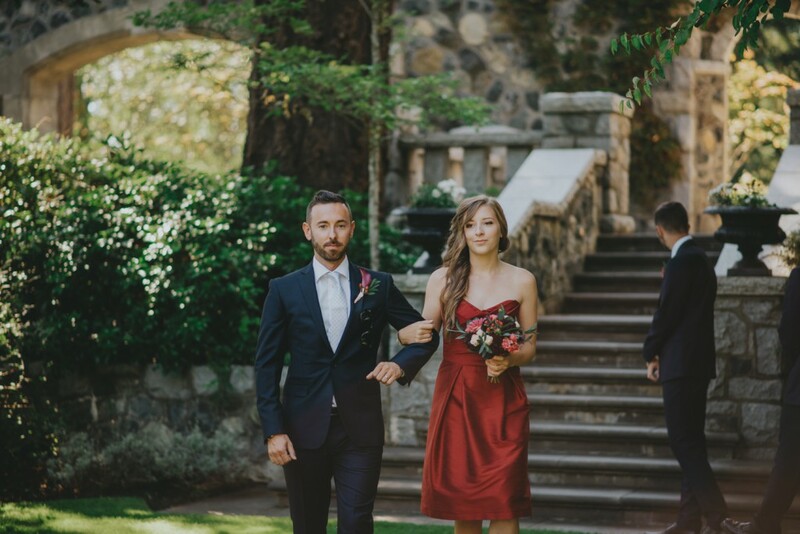 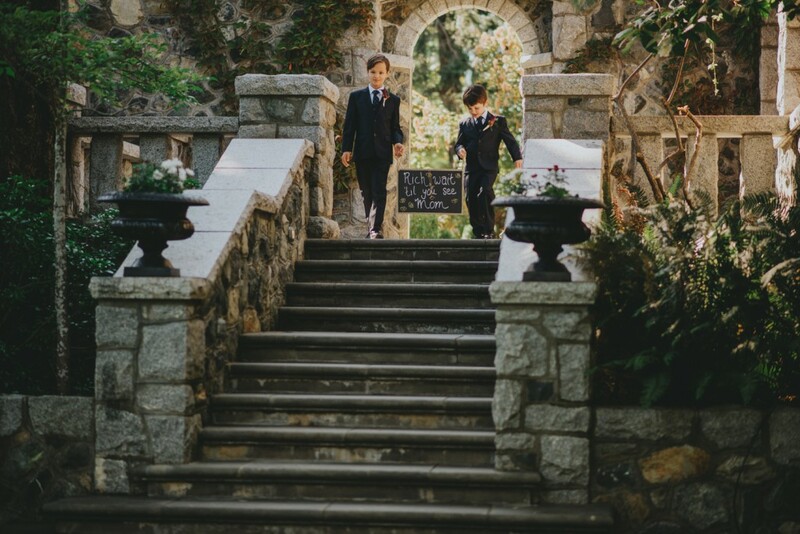 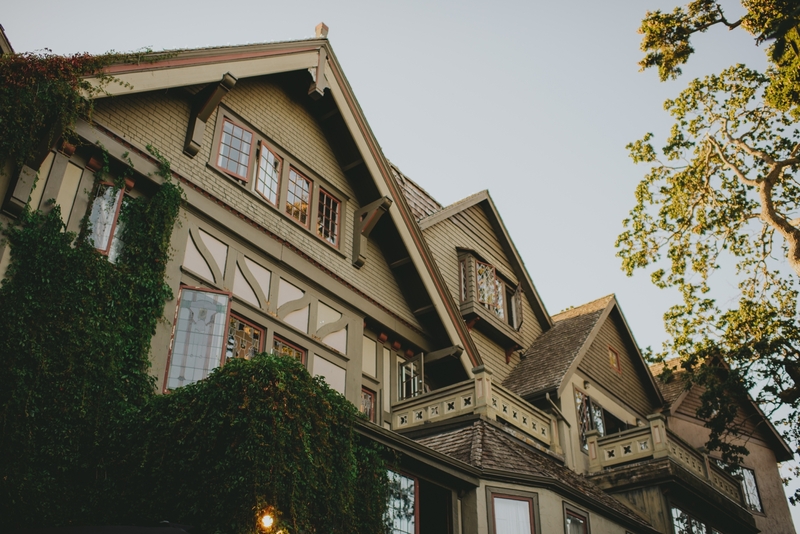 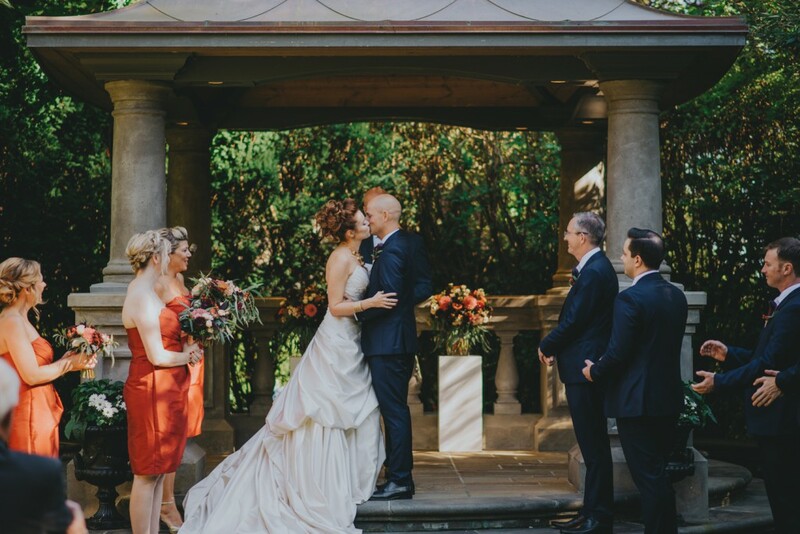 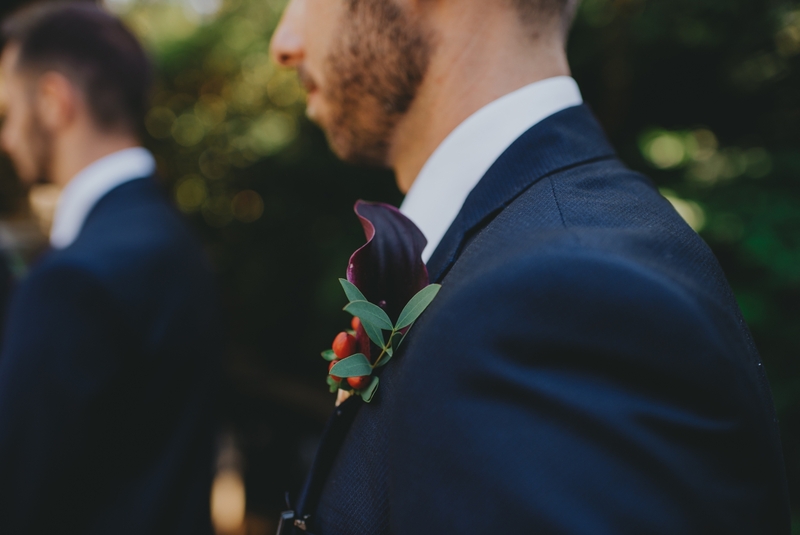 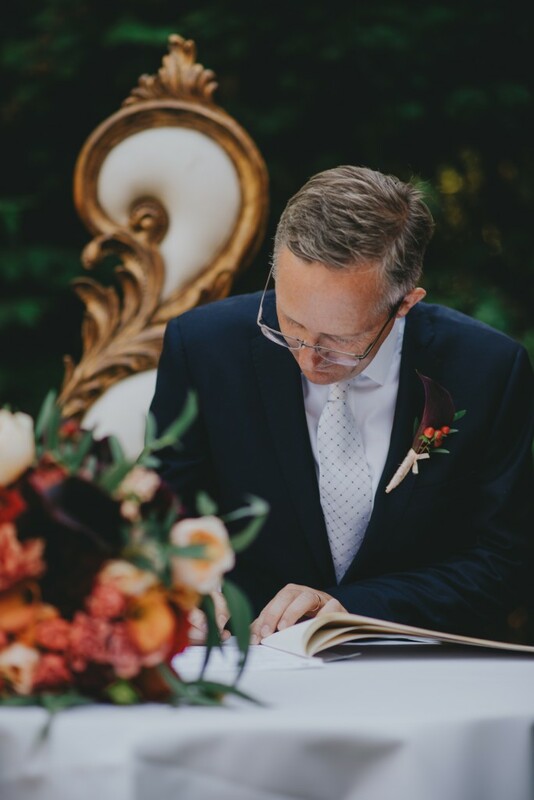 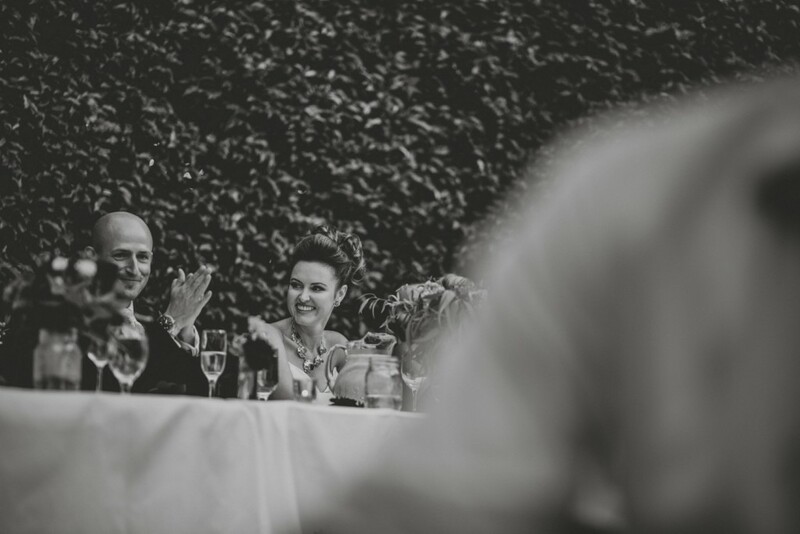 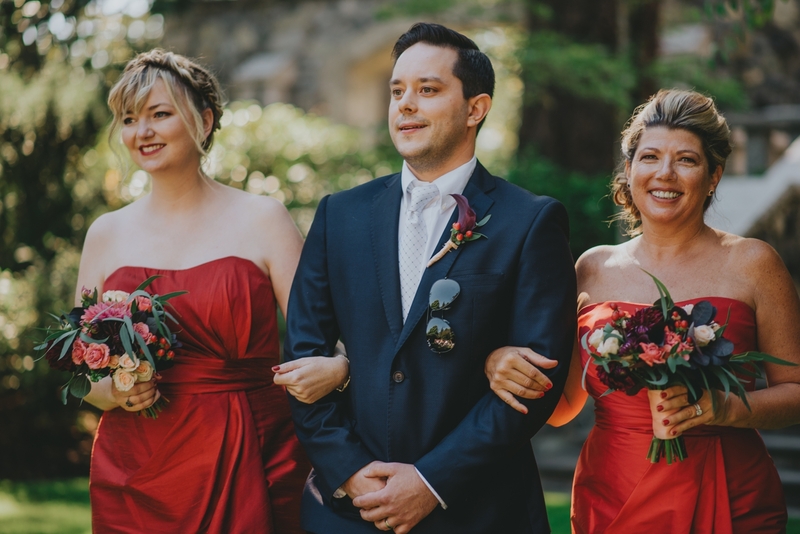 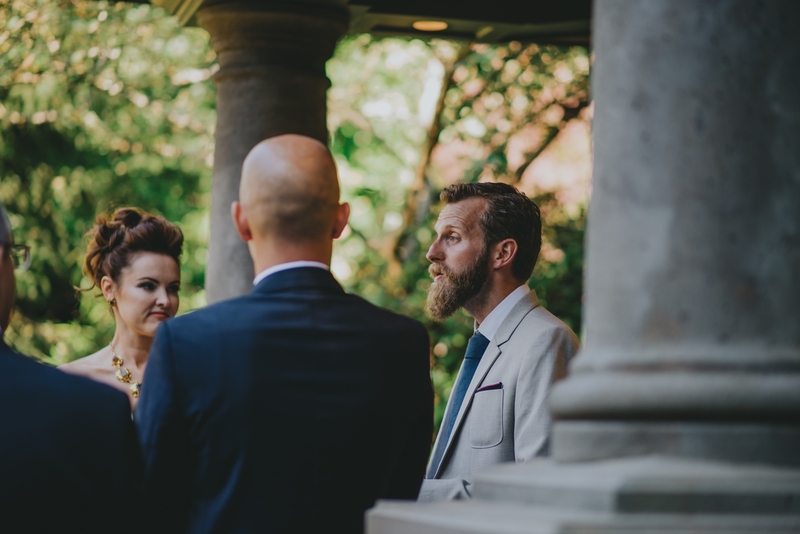 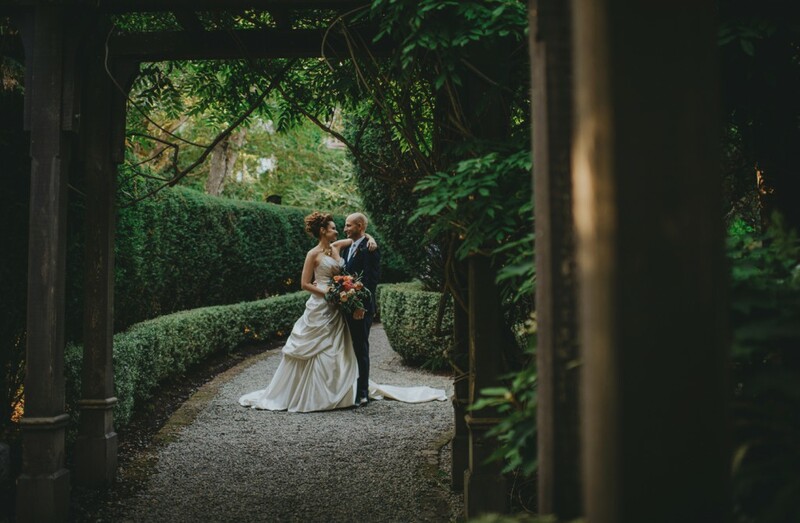 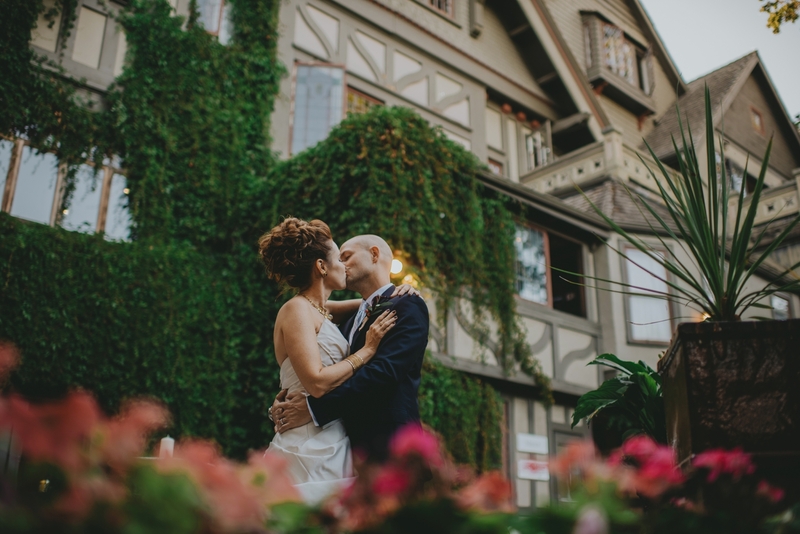 Rich and Tara’s wedding day in Victoria at The English Inn was absolutely breathtaking to say the least. 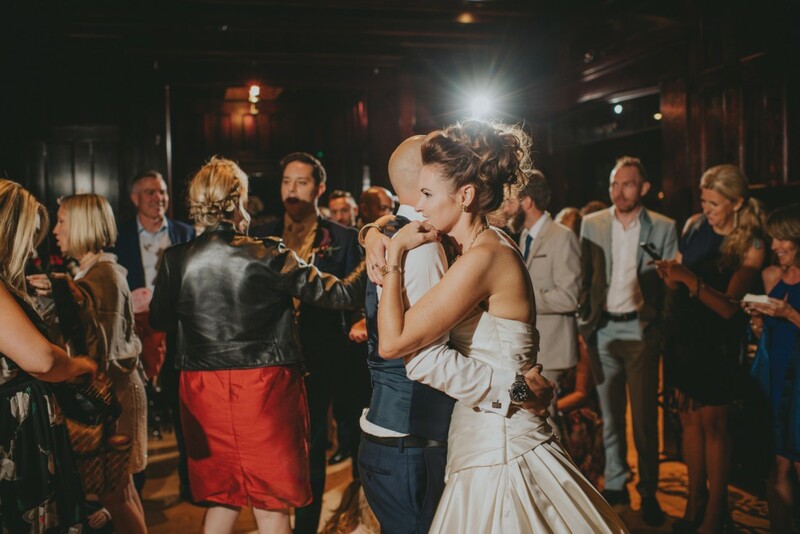 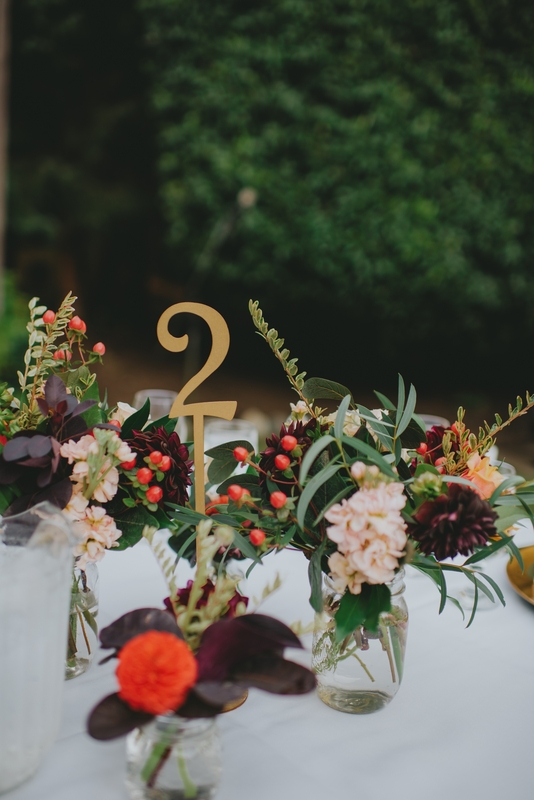 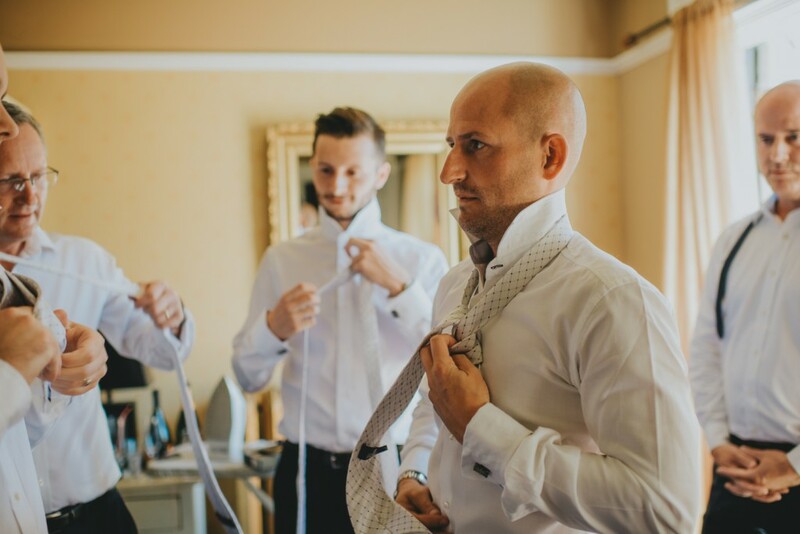 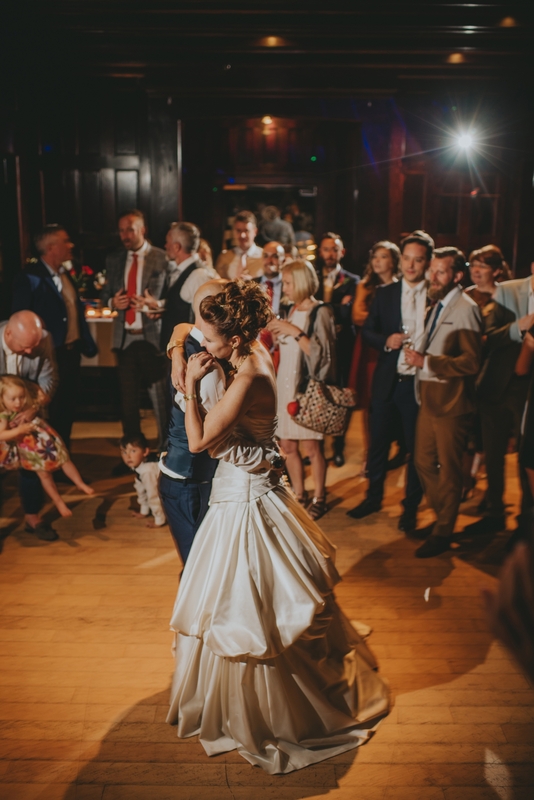 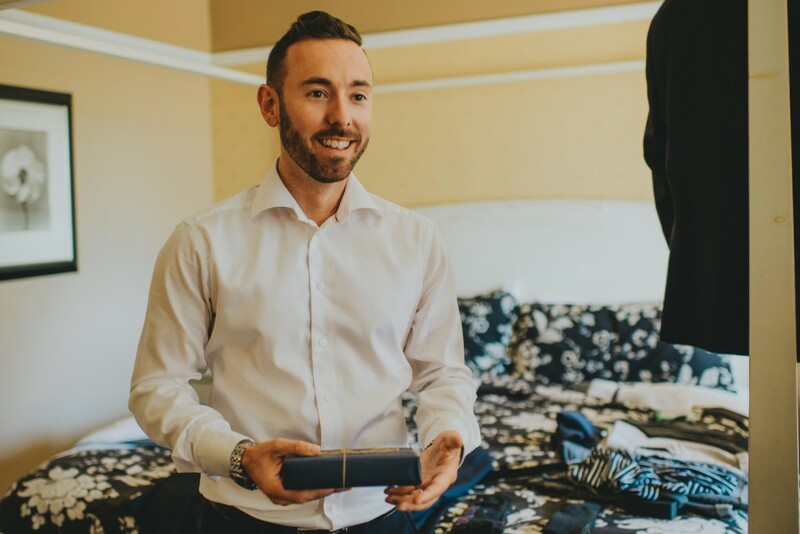 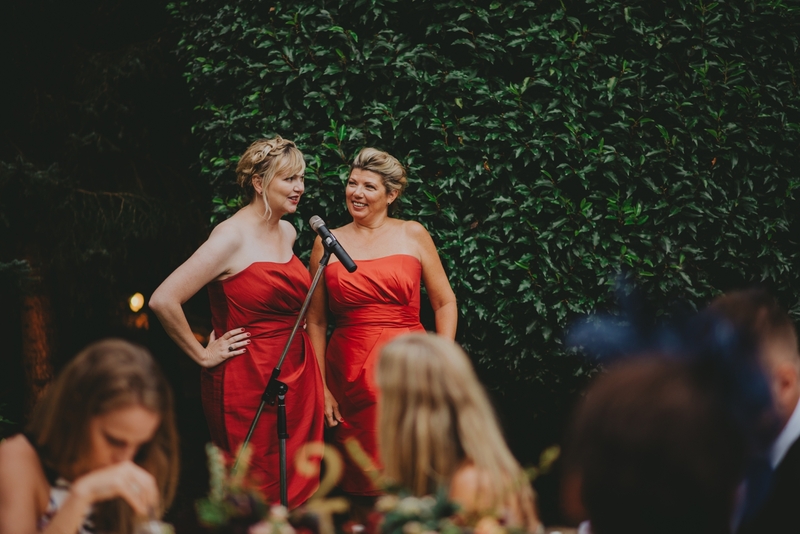 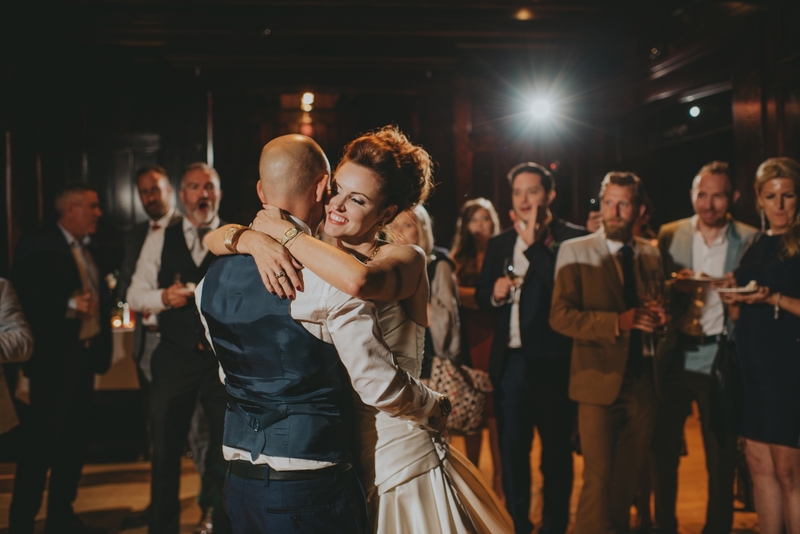 As these two got ready only rooms apart, you could feel the love and excitement flowing throughout this stunning location. 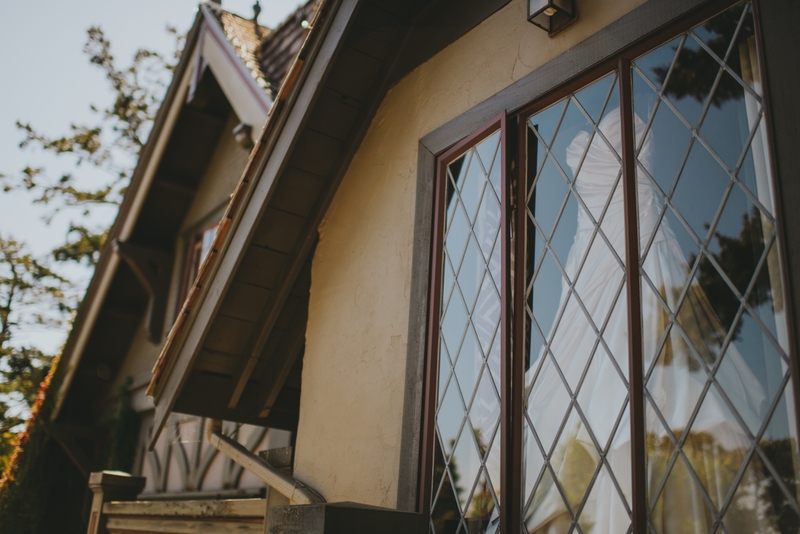 After Rich gave all of his groomsmen an awesome gift, I headed over to the next room where Tara was having her hair and make up done, her wedding dress hanging patiently by the window. 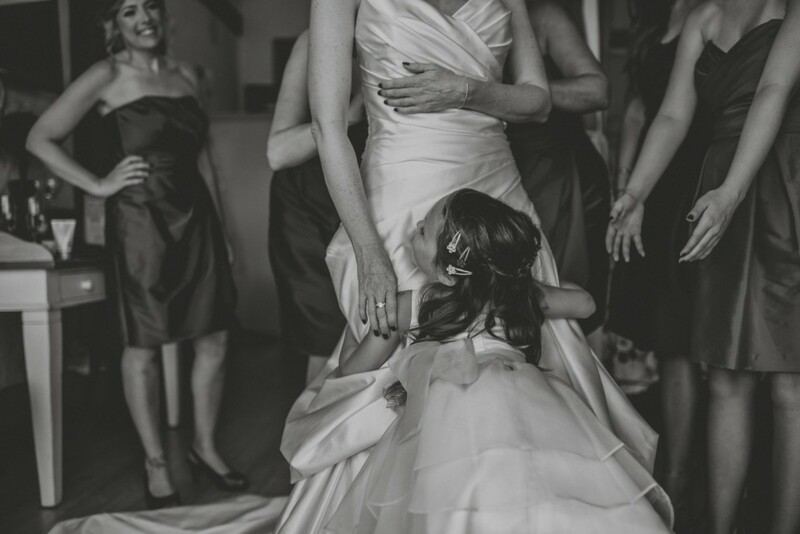 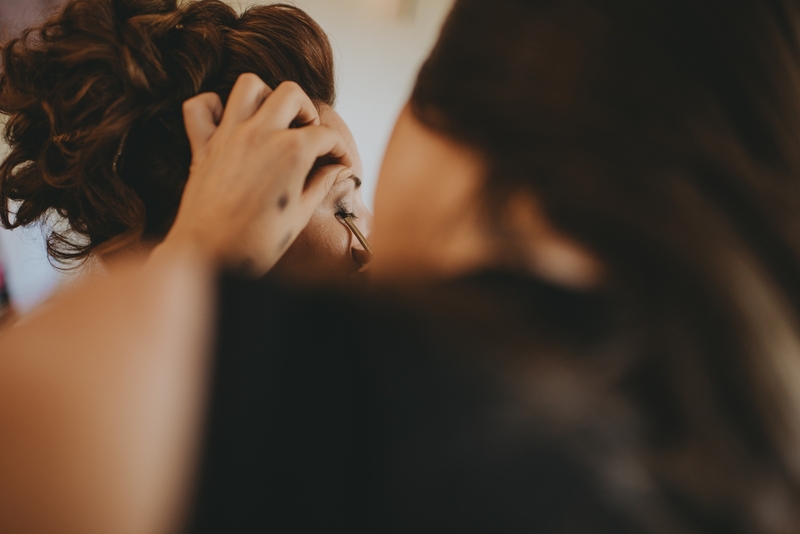 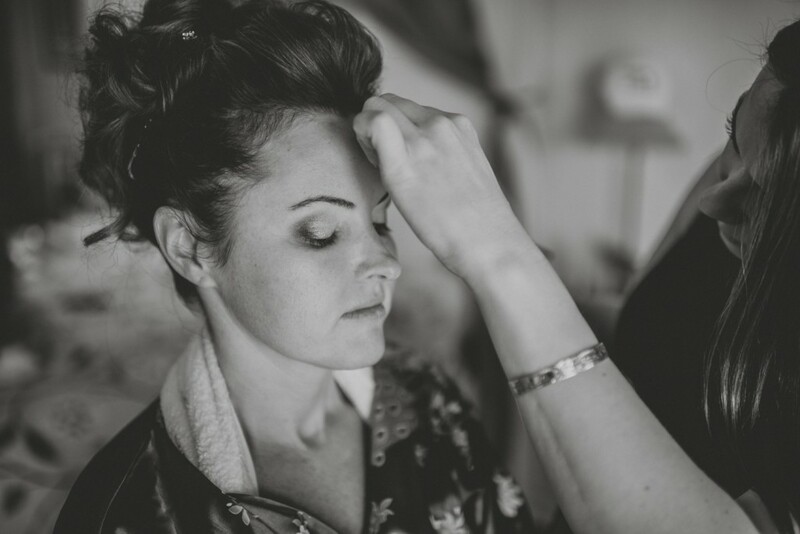 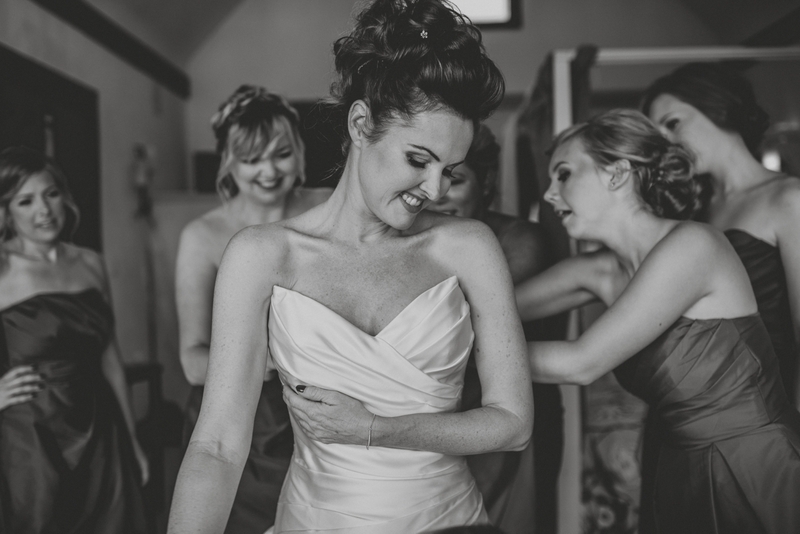 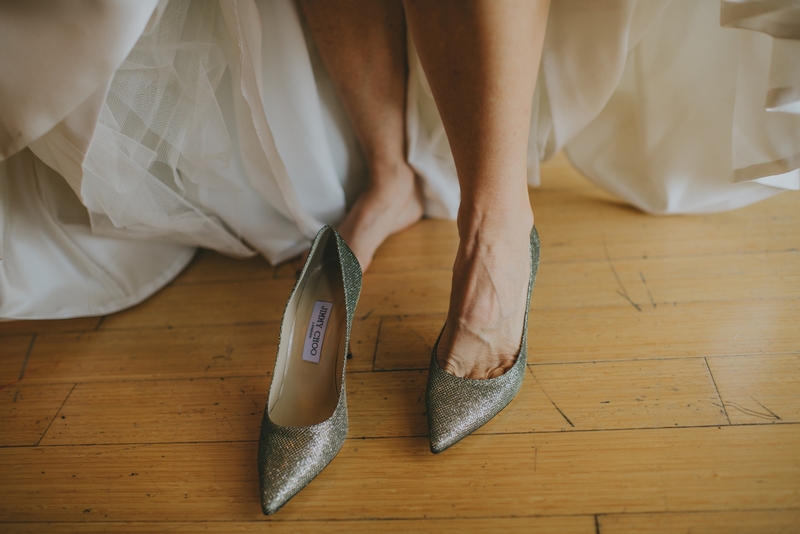 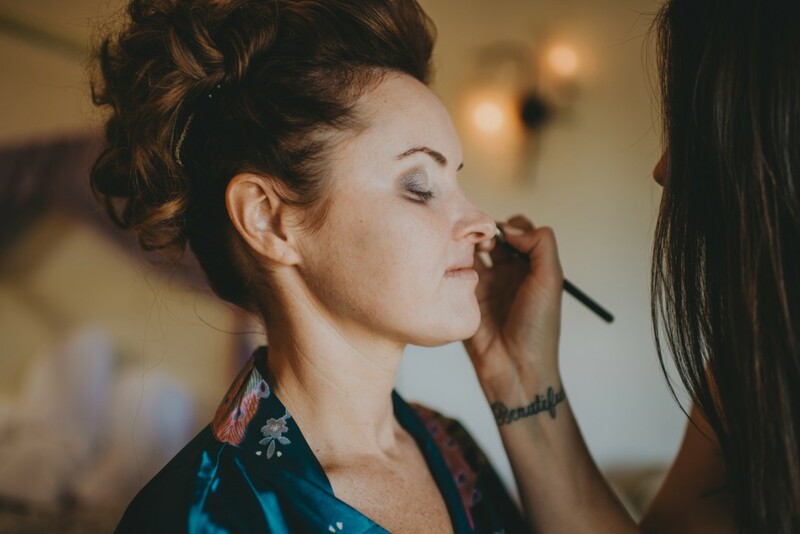 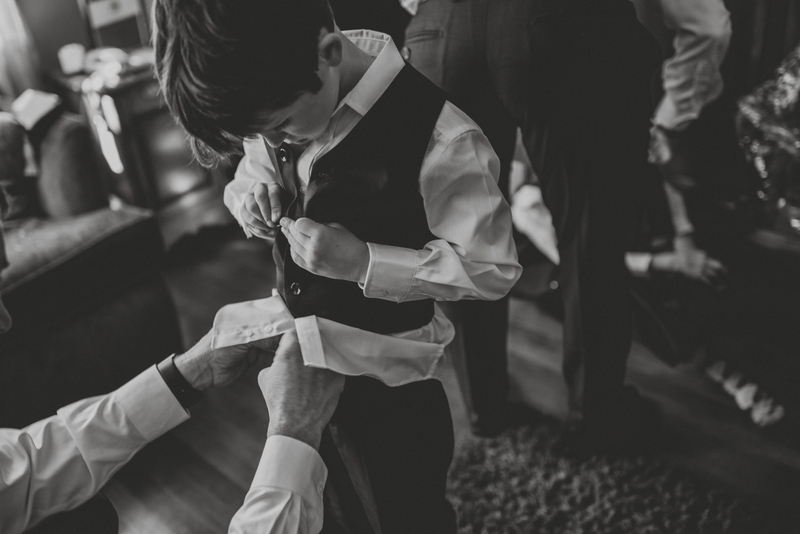 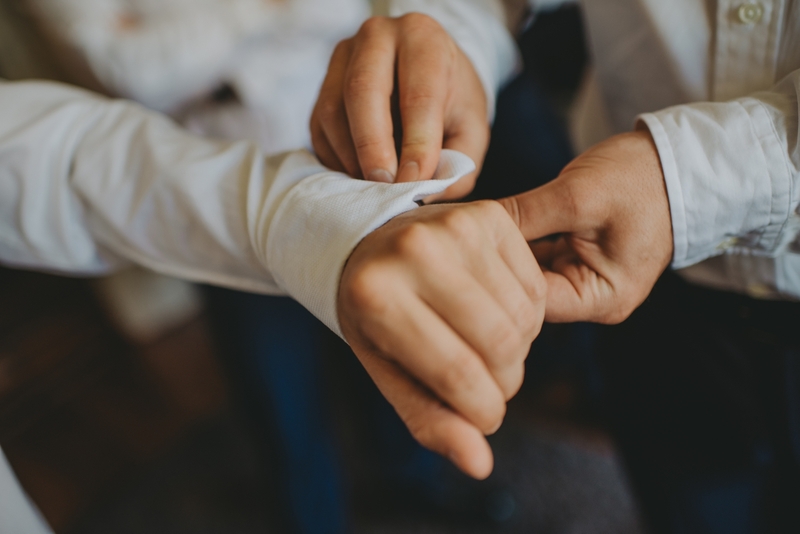 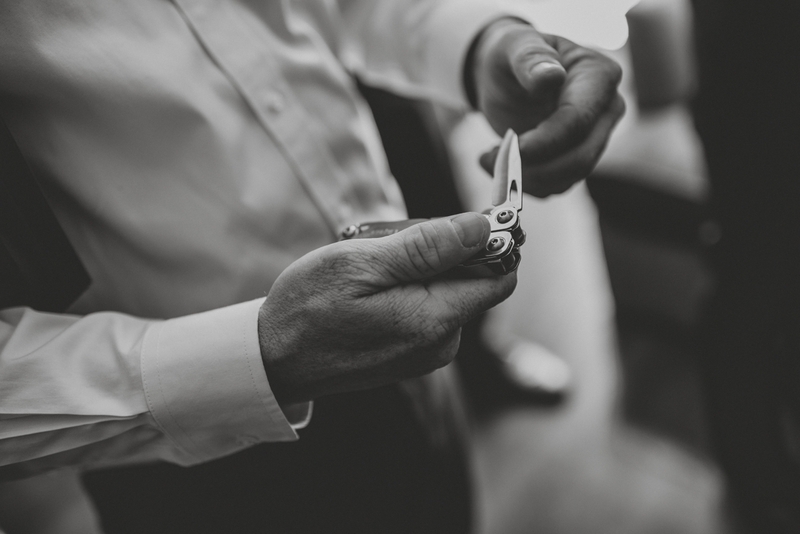 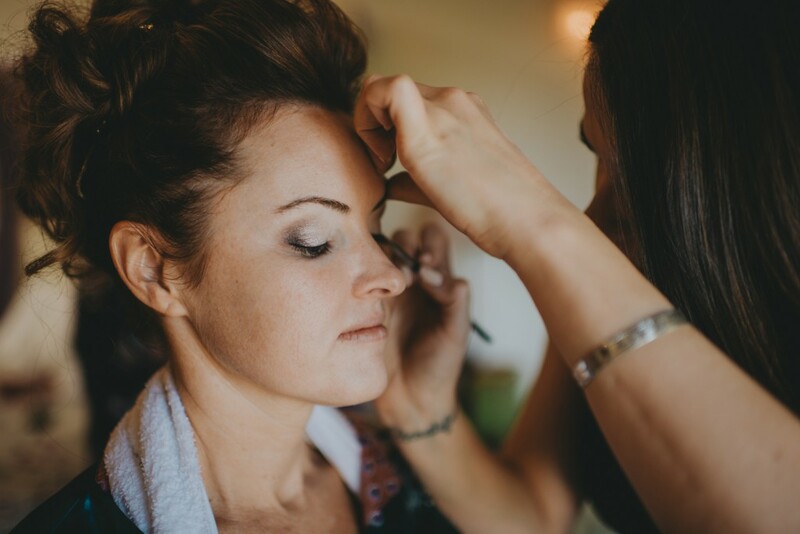 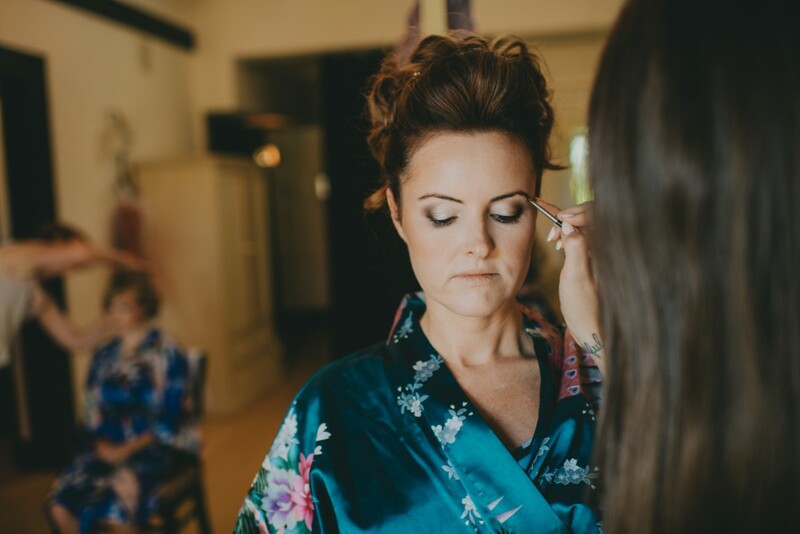 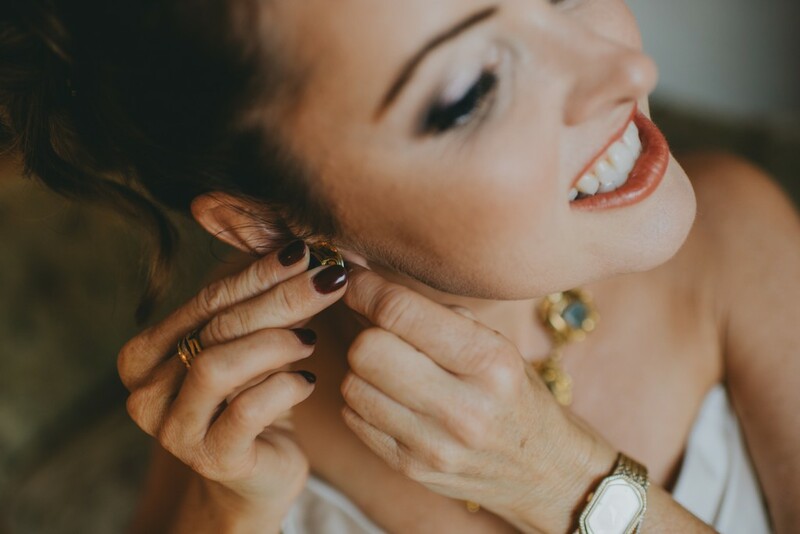 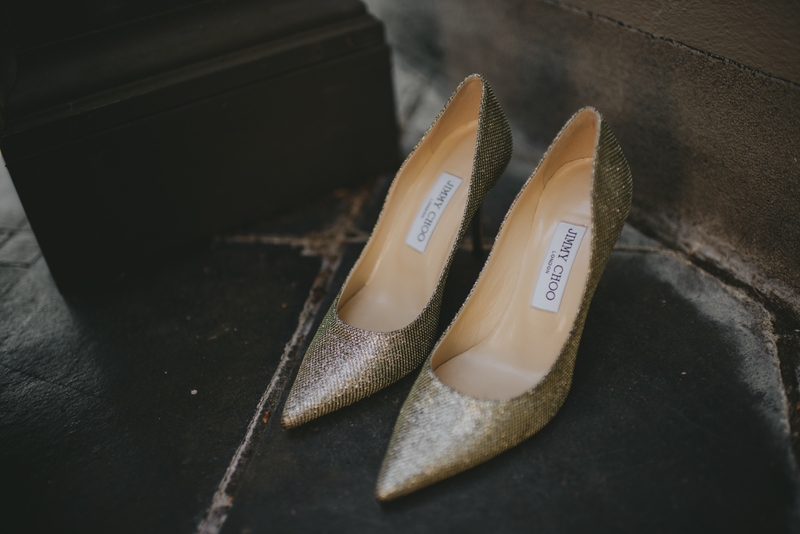 Once her bridesmaids helped her into her dress, she put on her darling finishing touches. 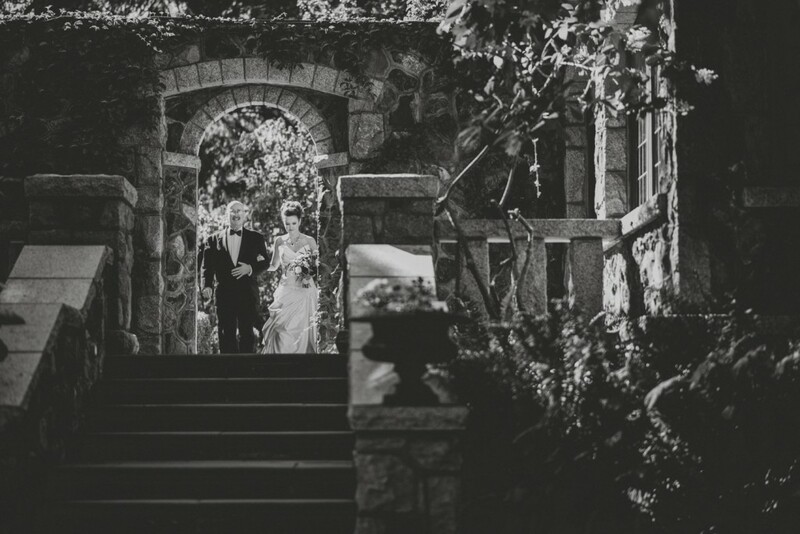 We headed down into the garden for their ceremony. 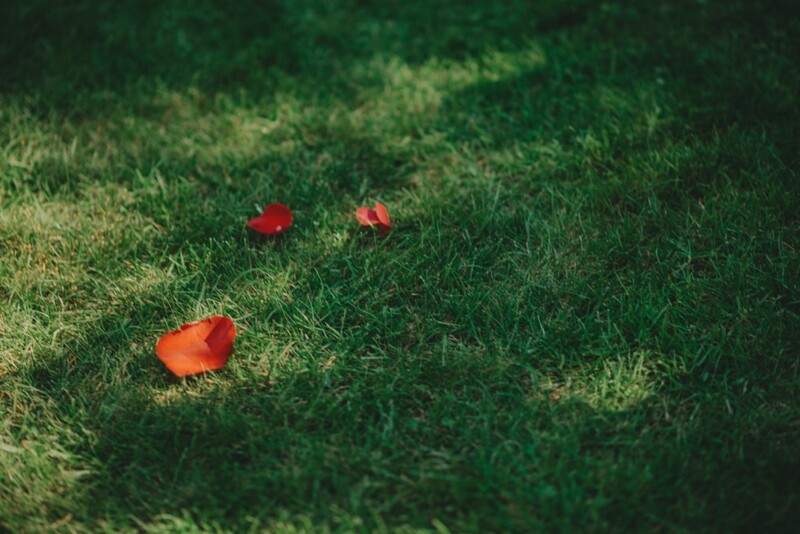 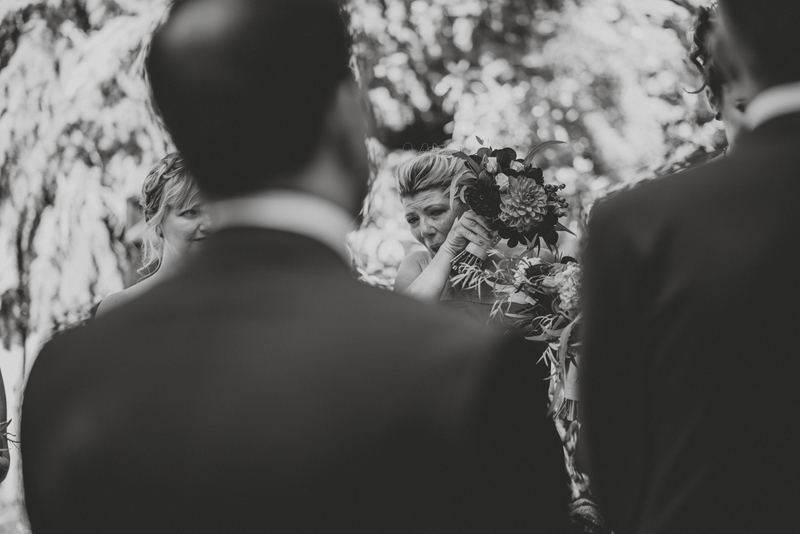 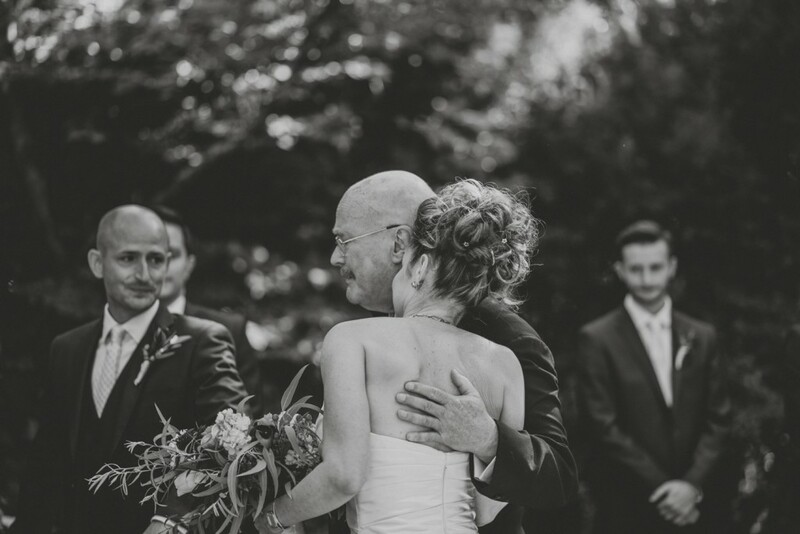 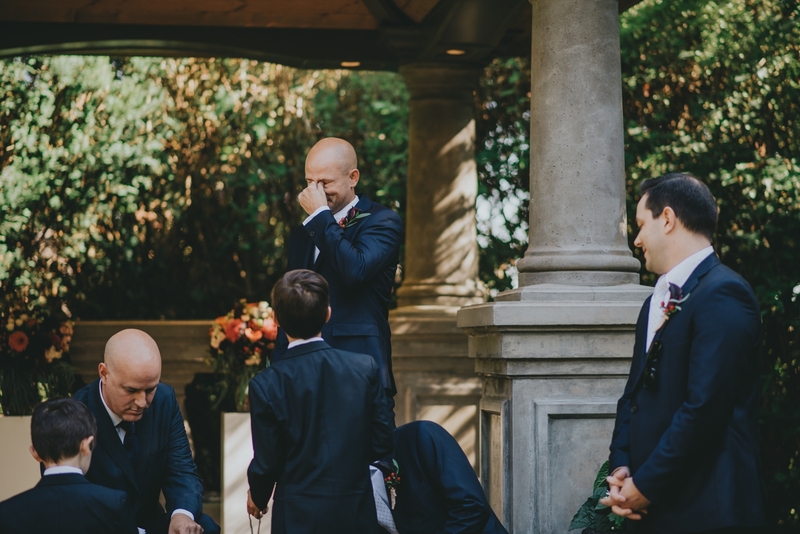 The true moments that filled this ceremony were endless. 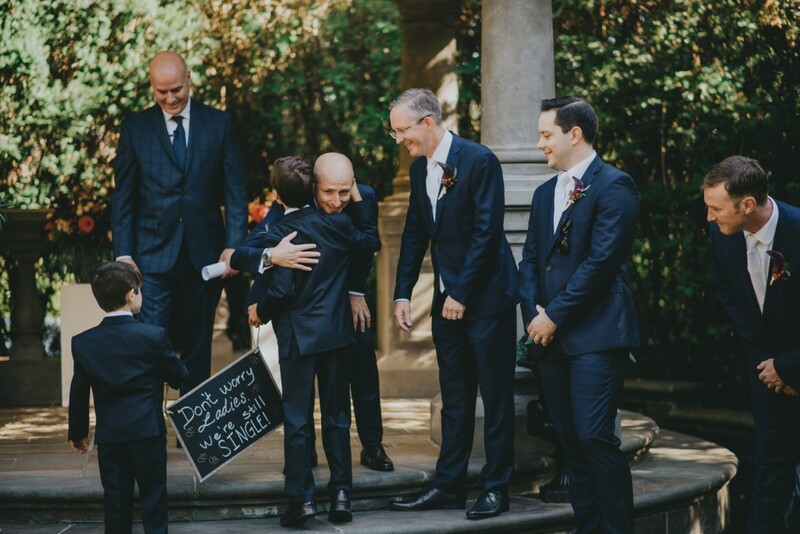 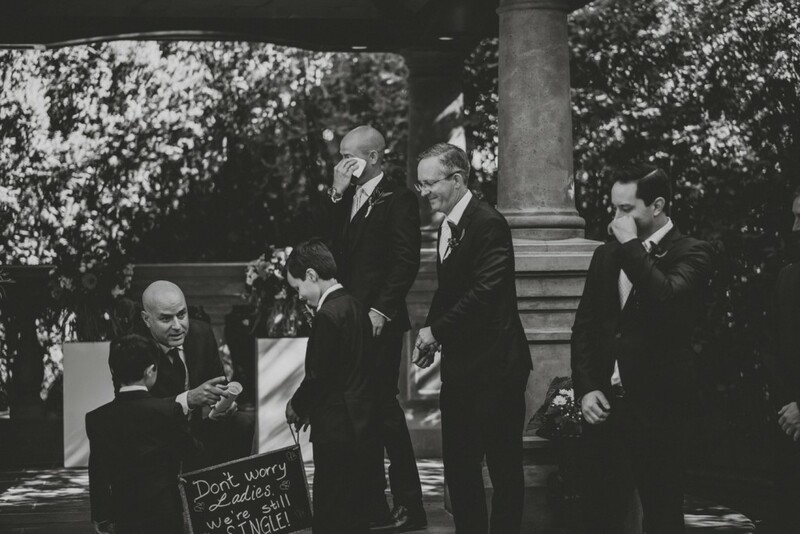 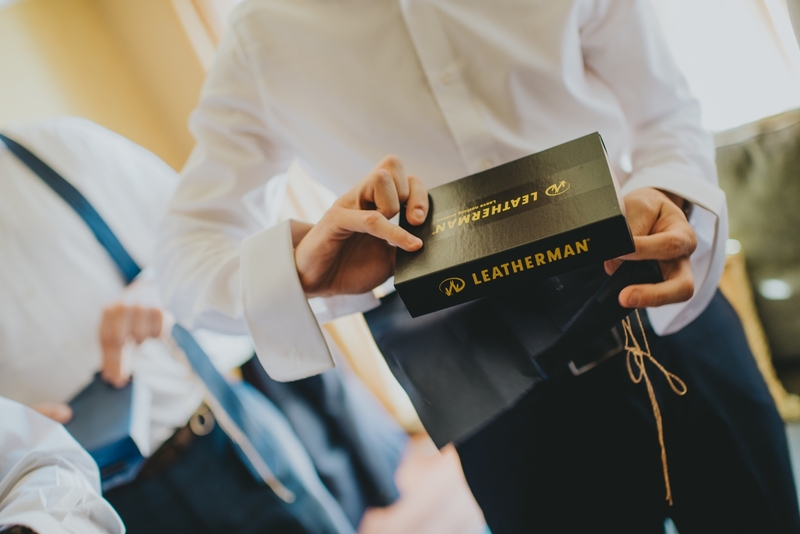 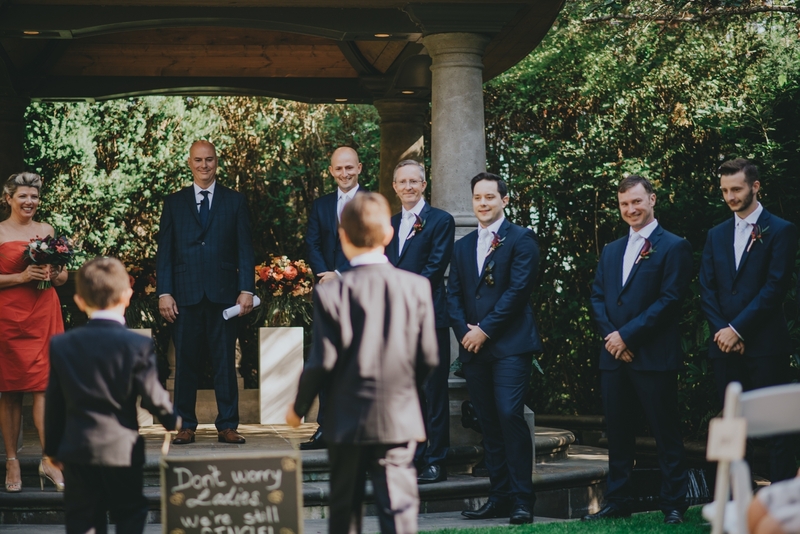 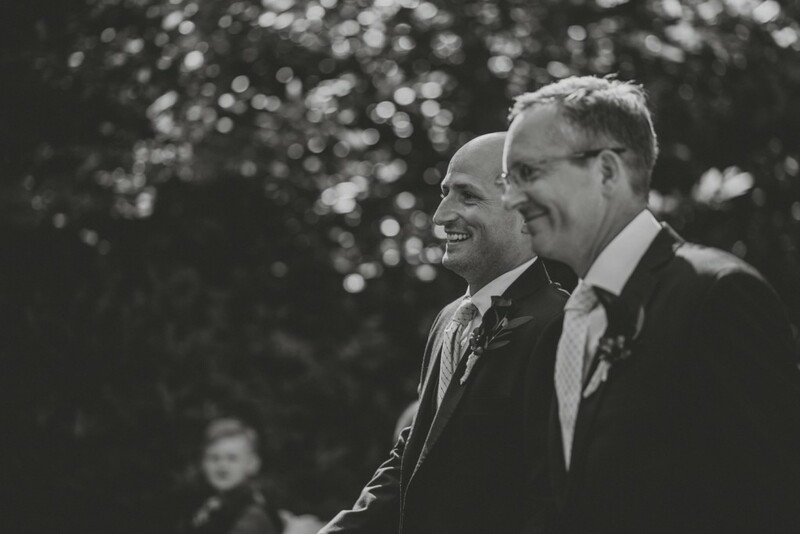 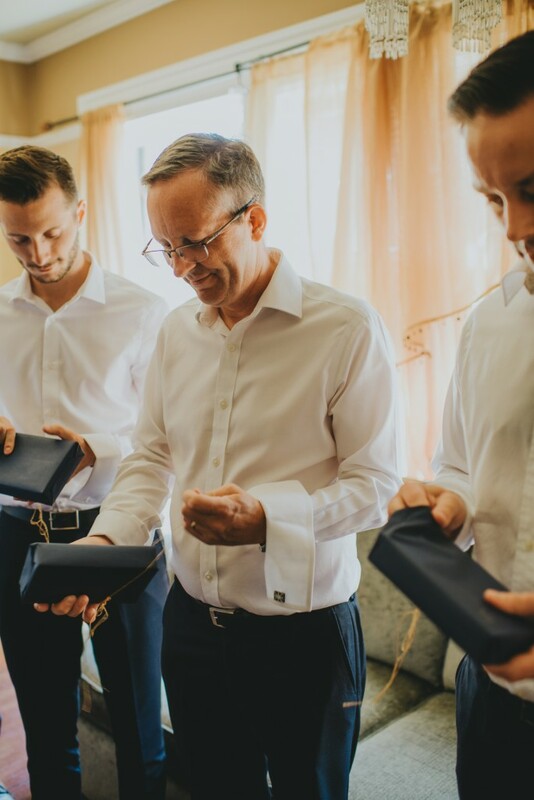 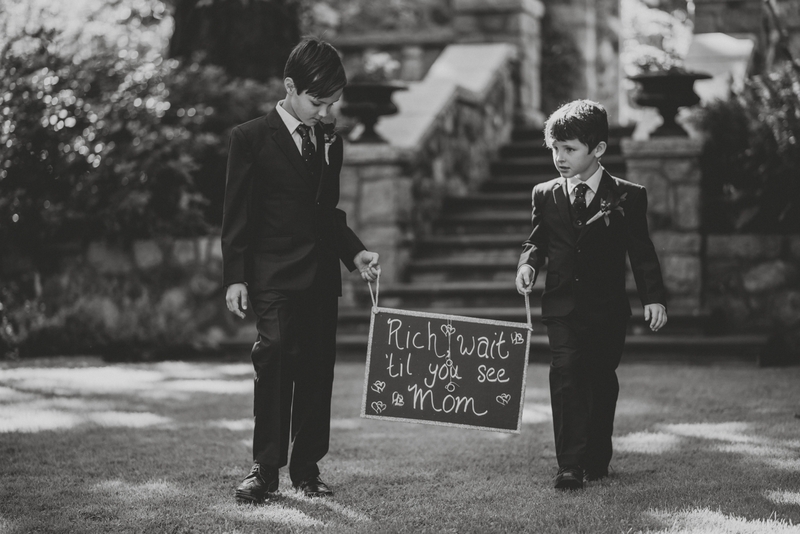 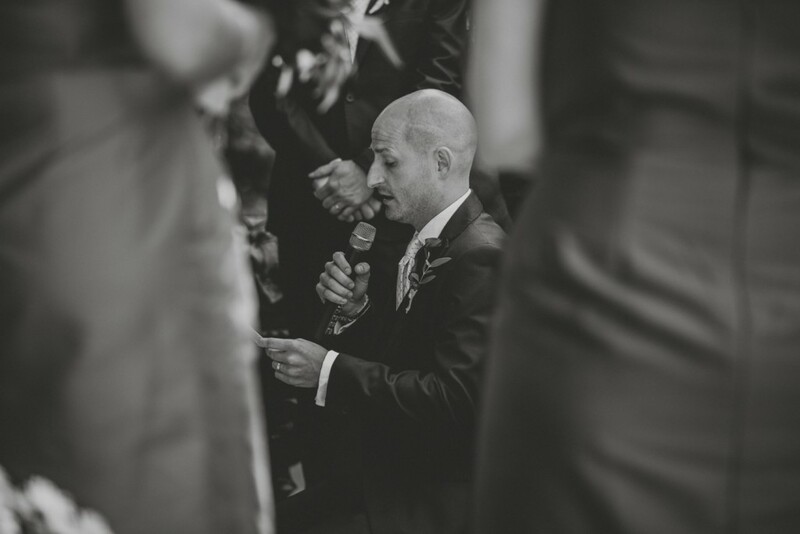 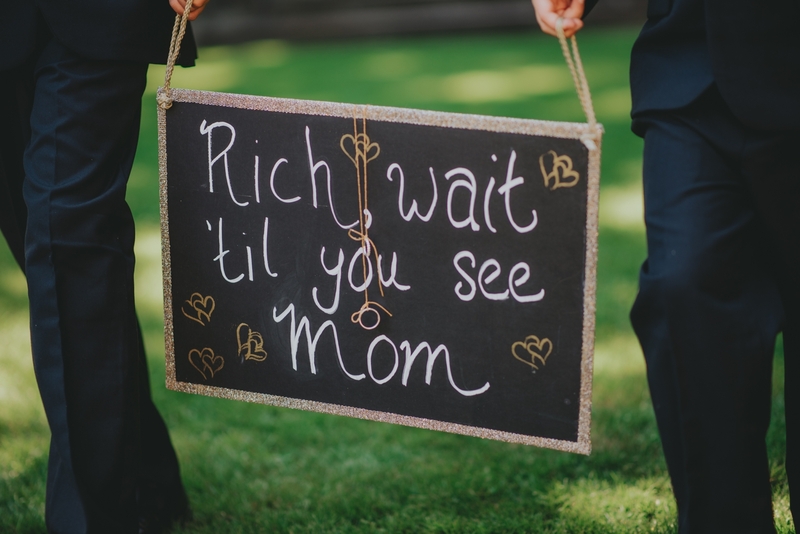 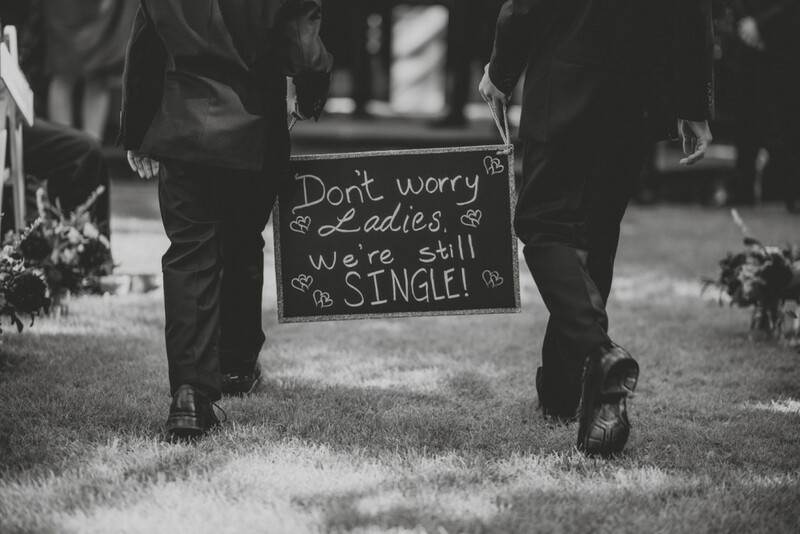 As the ring bearers walked down the aisle with a surprise sign for Rich, the tears started to flow. 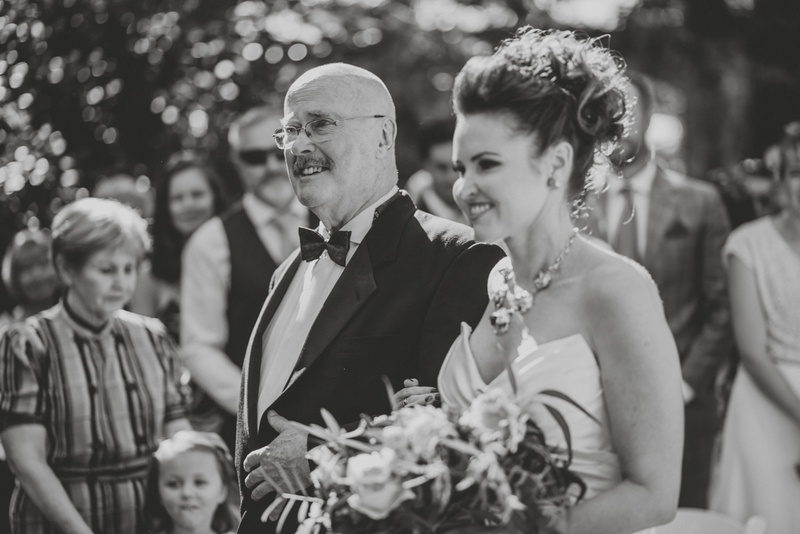 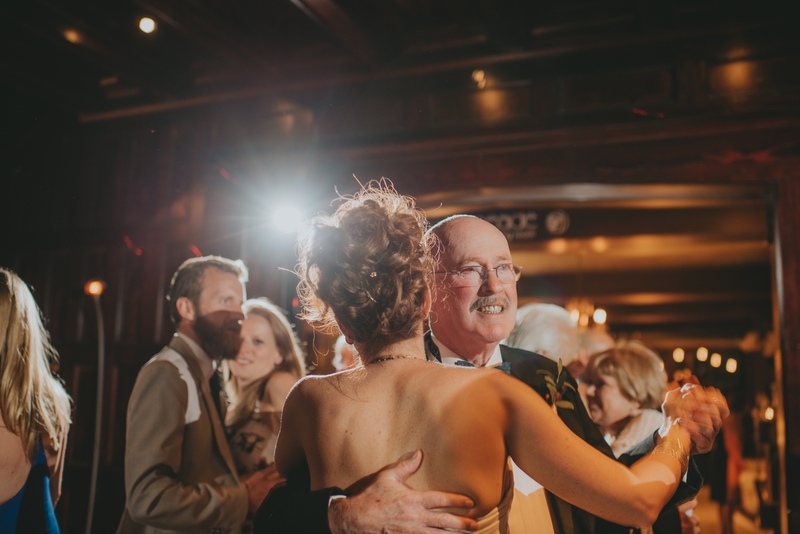 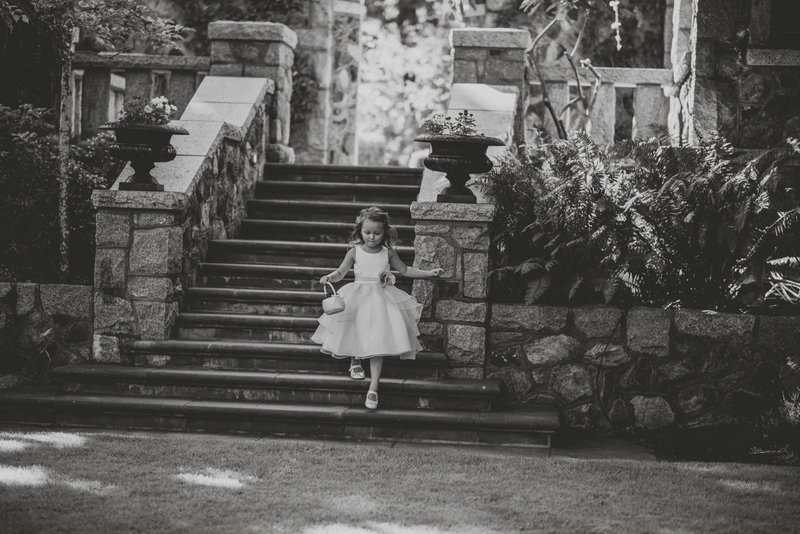 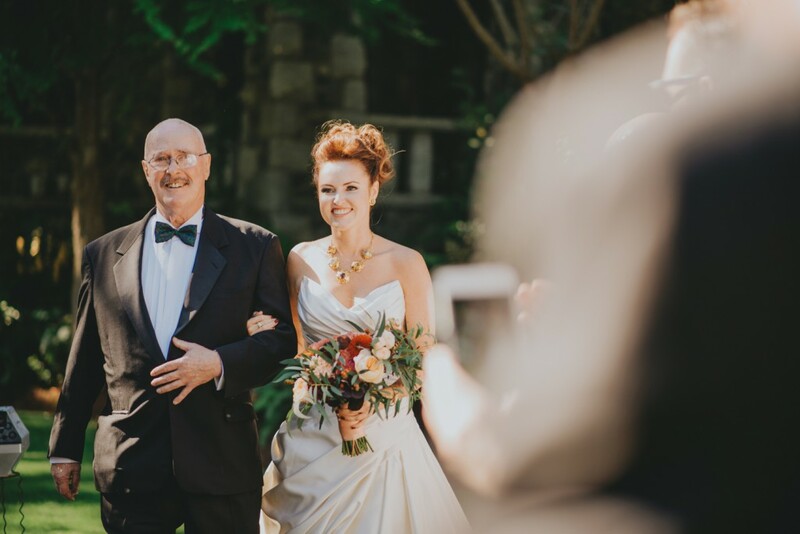 Tara appeared with her father at the top of the staircase, backlit by the sun, let’s just say that gorgeous is an understatement. 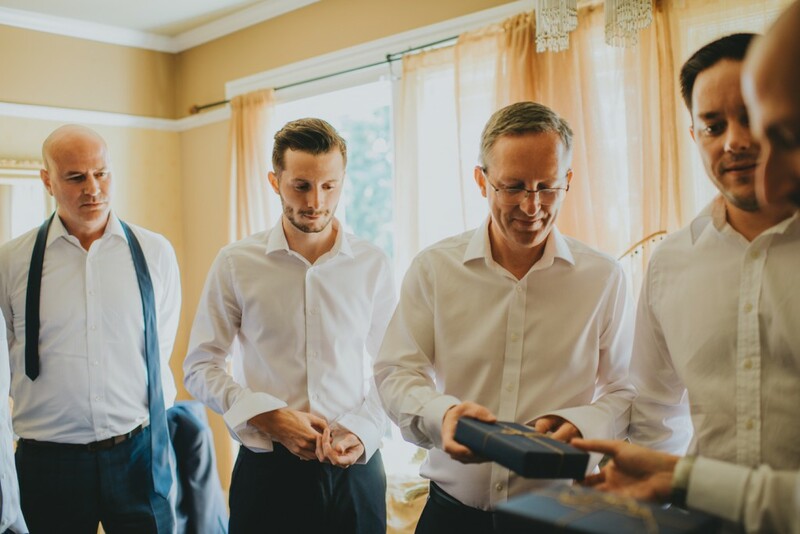 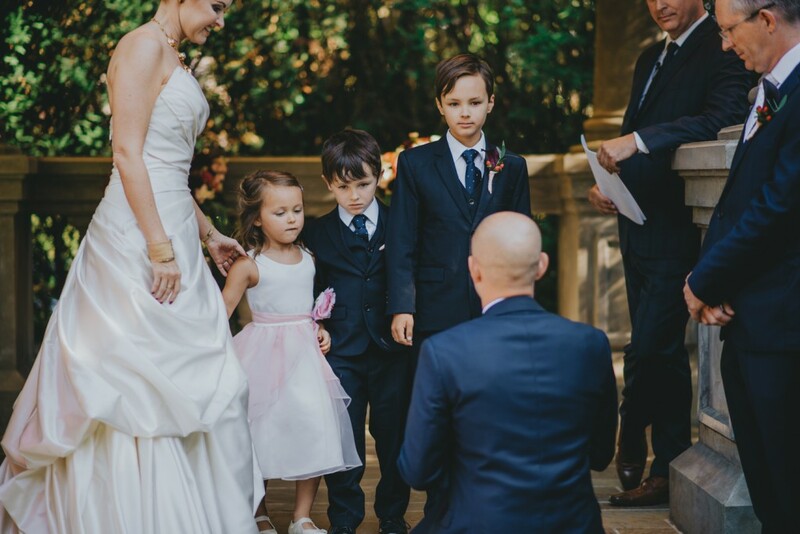 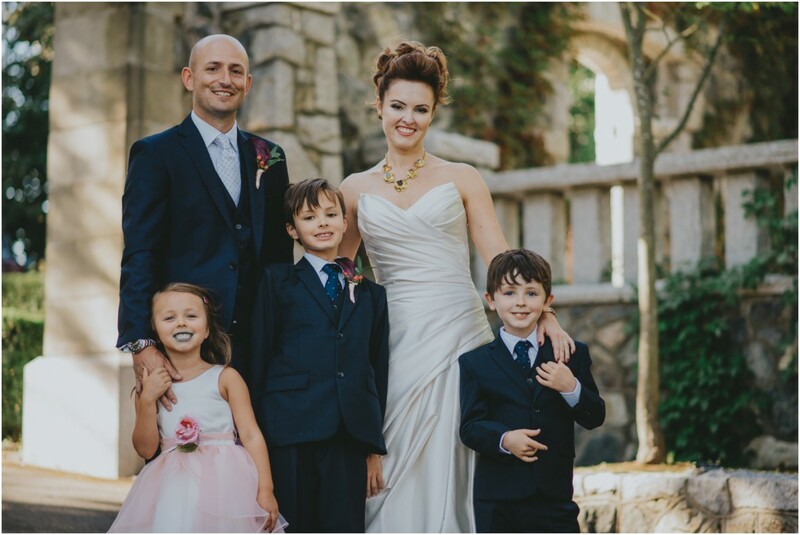 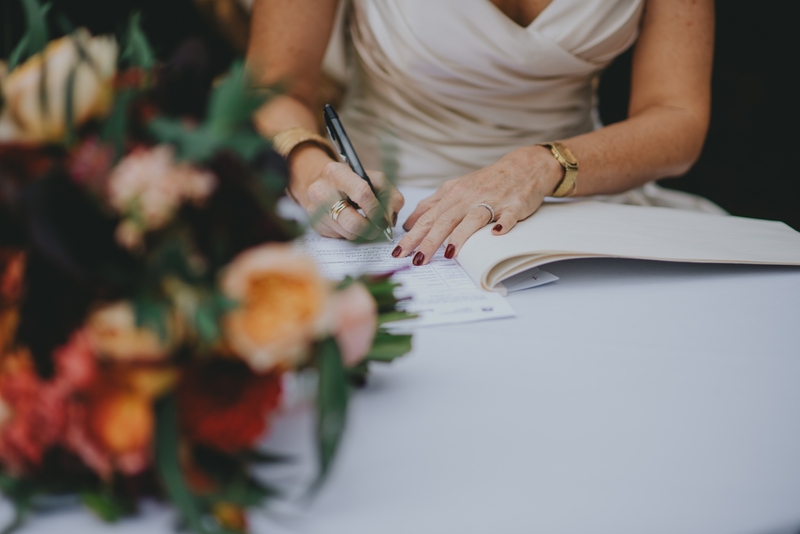 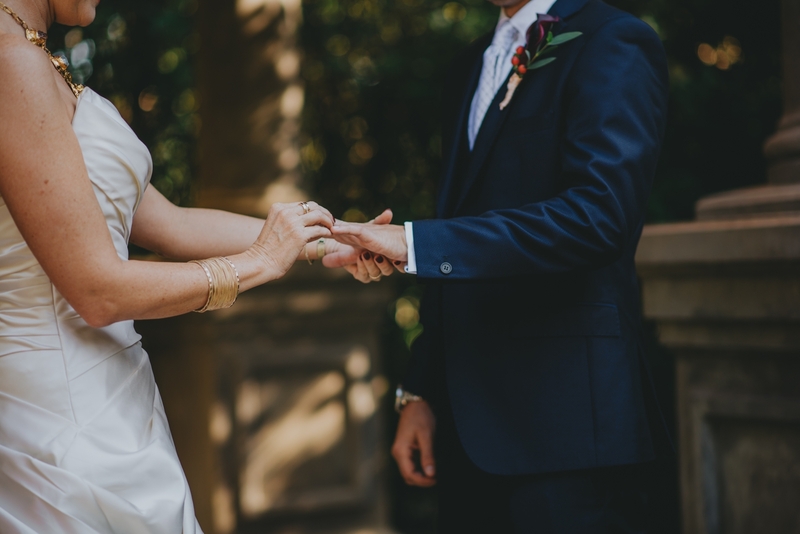 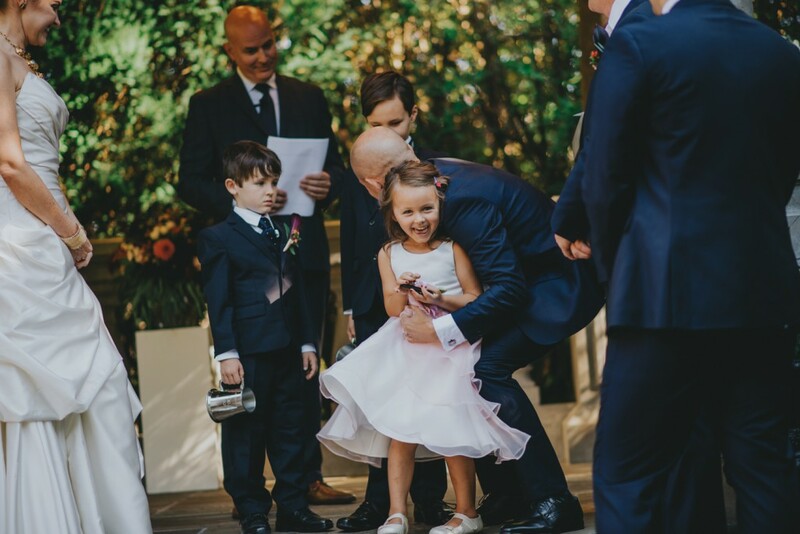 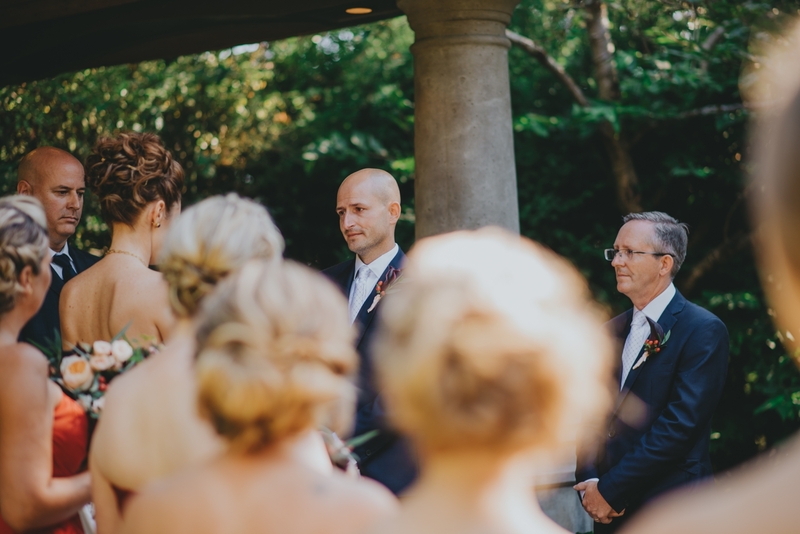 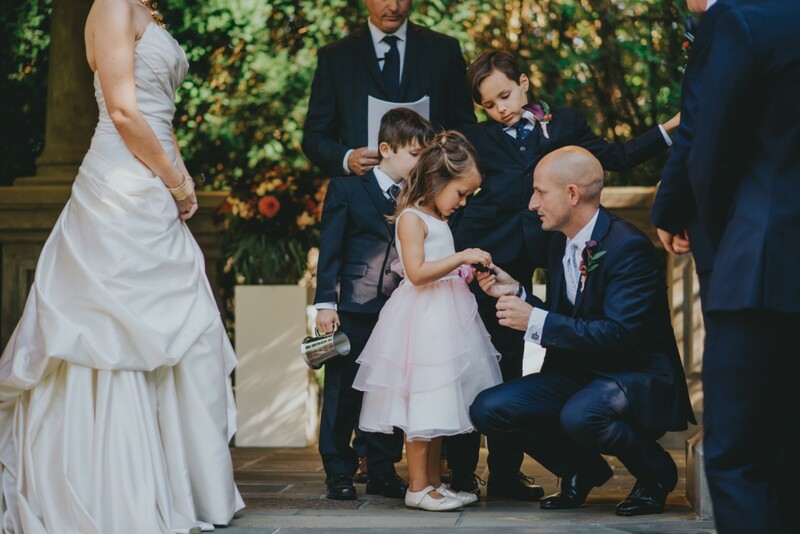 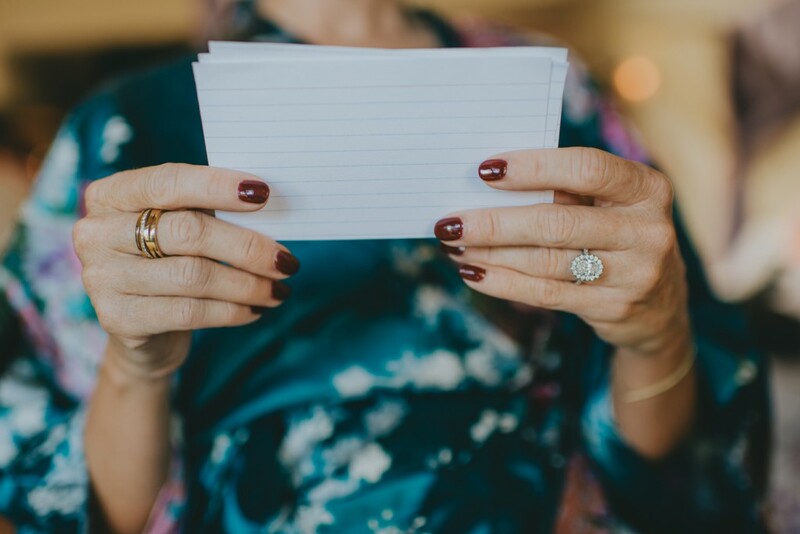 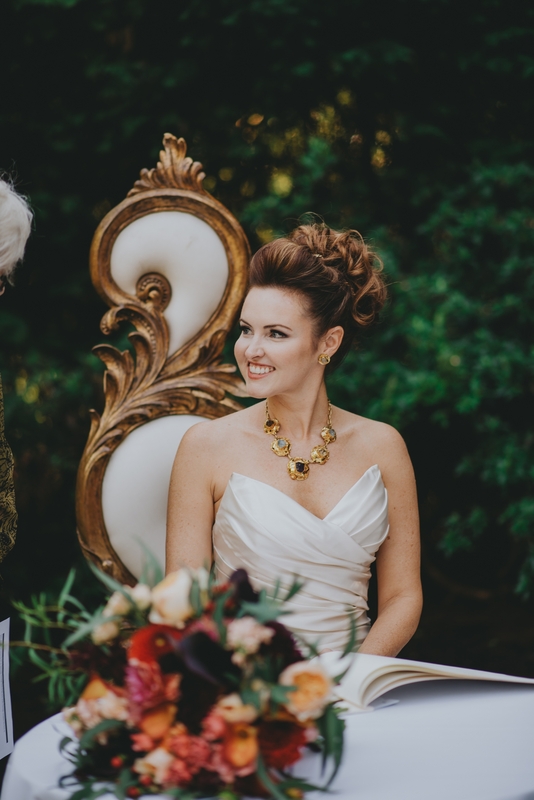 After these two exchanged vows, they had the kids come up to have Rich exchange a vow with each of them as a symbol of a whole family uniting. These two tied the knot and said I do surrounded by their friends and family. 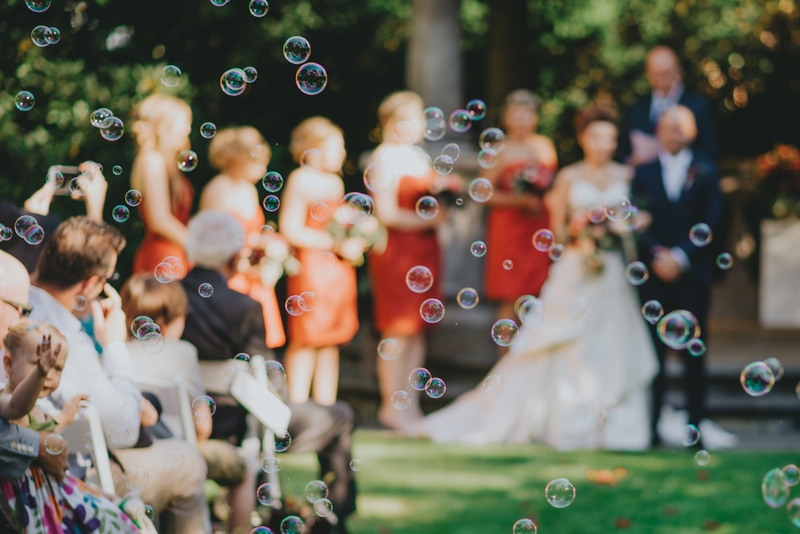 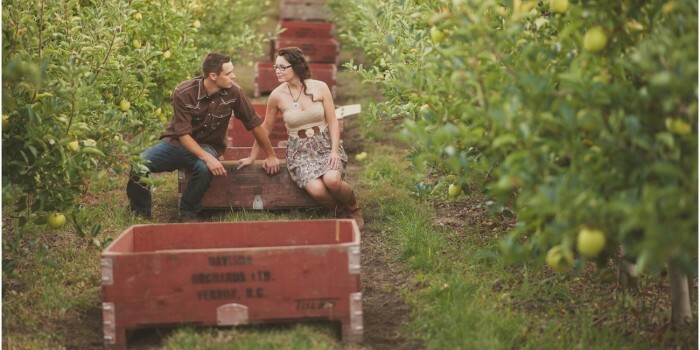 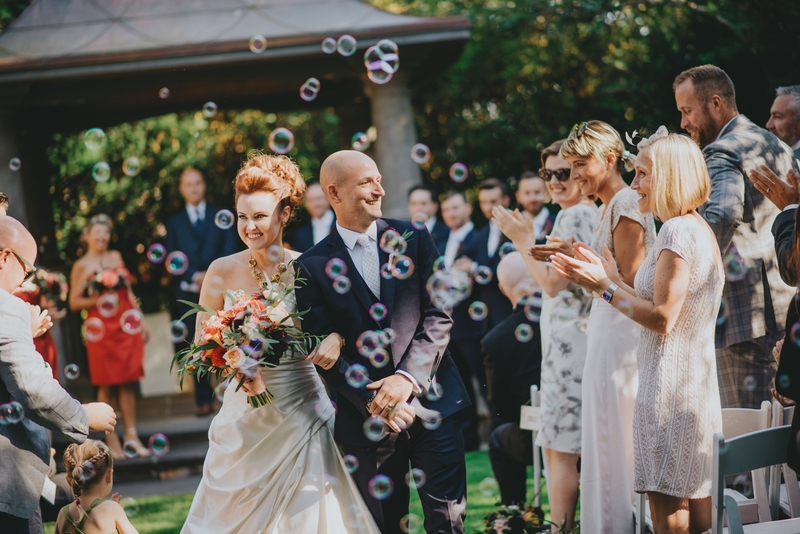 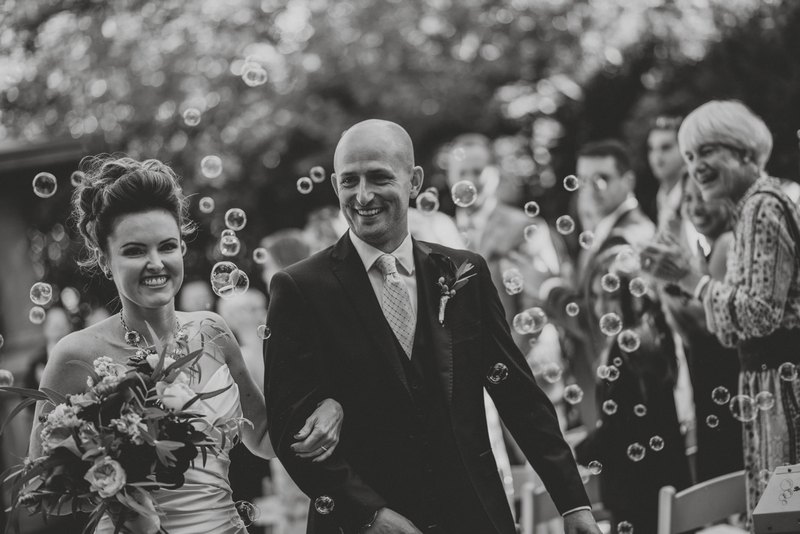 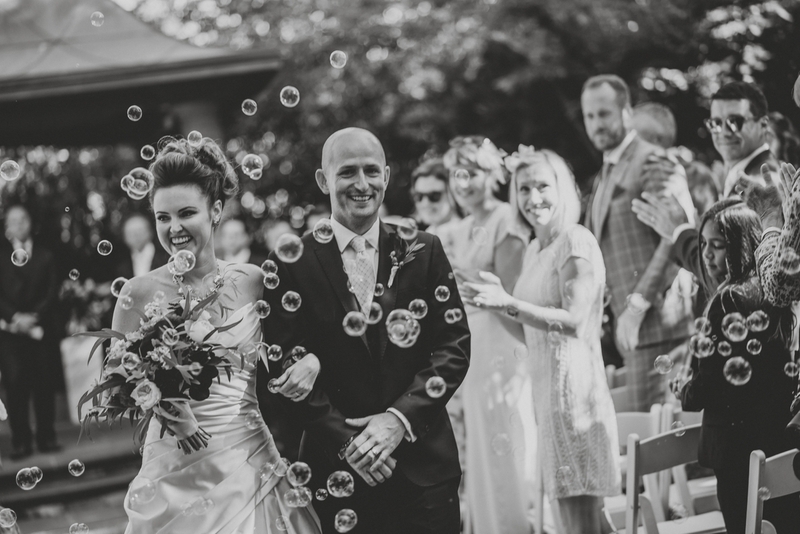 Rich and Tara then kissed for the first time and walked down the aisle through the bubbles and into the sun! 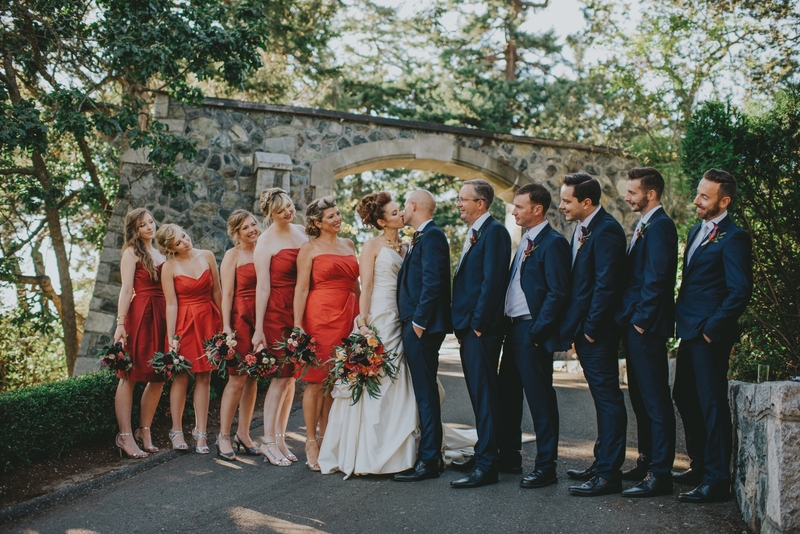 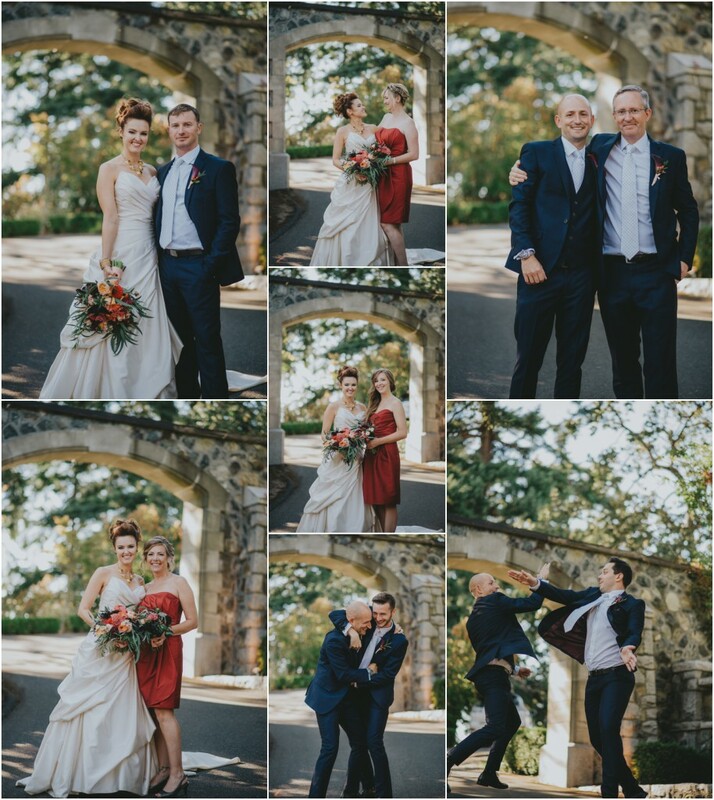 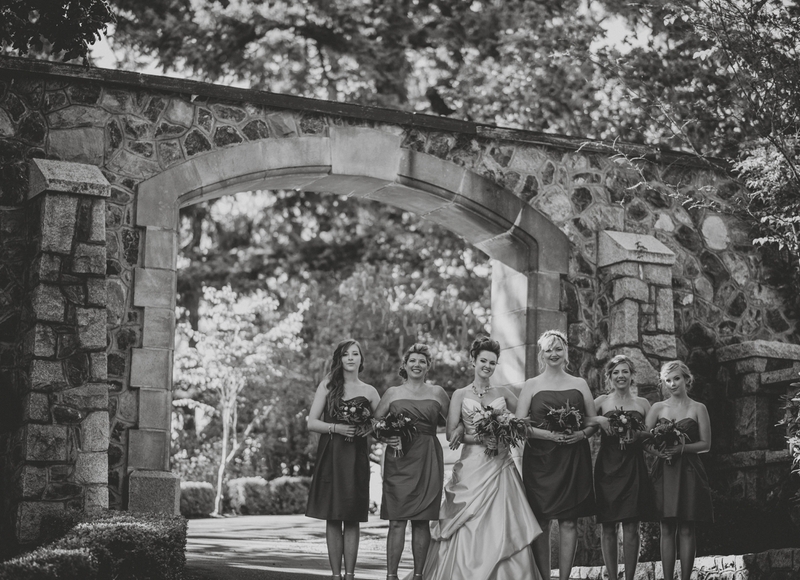 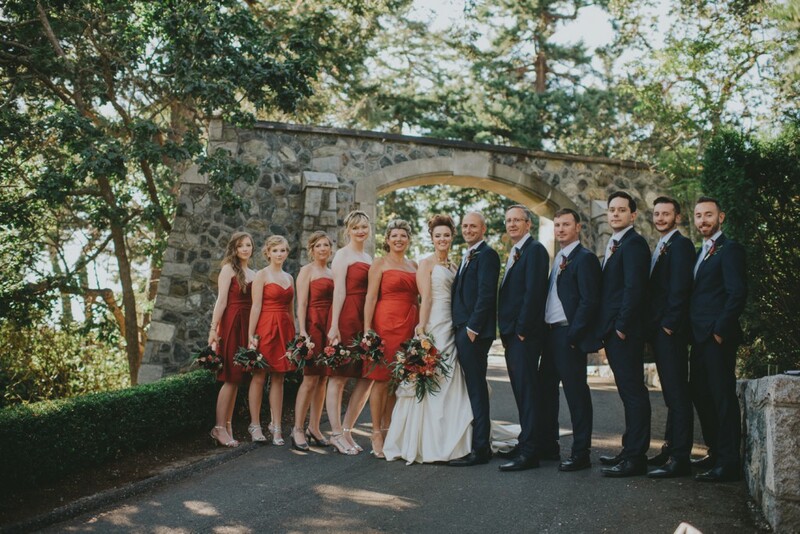 We grabbed the whole bridal party and headed to a huge archway that showcased the Inn’s architecture perfectly. 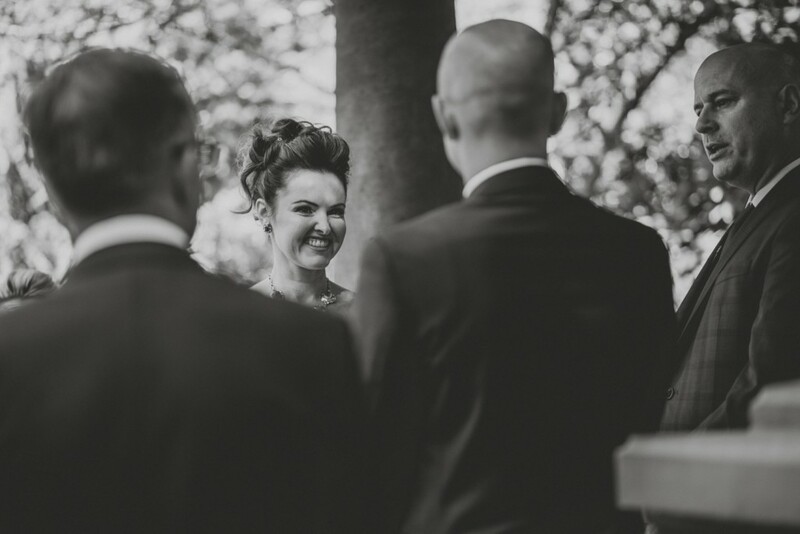 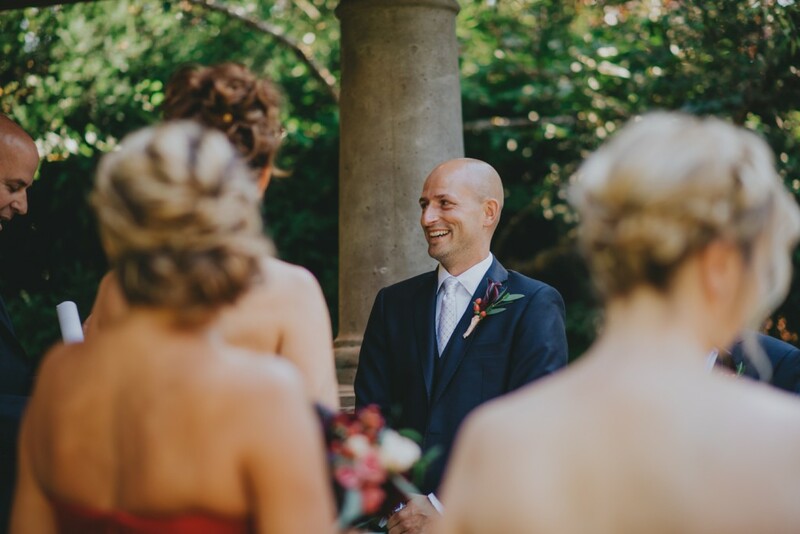 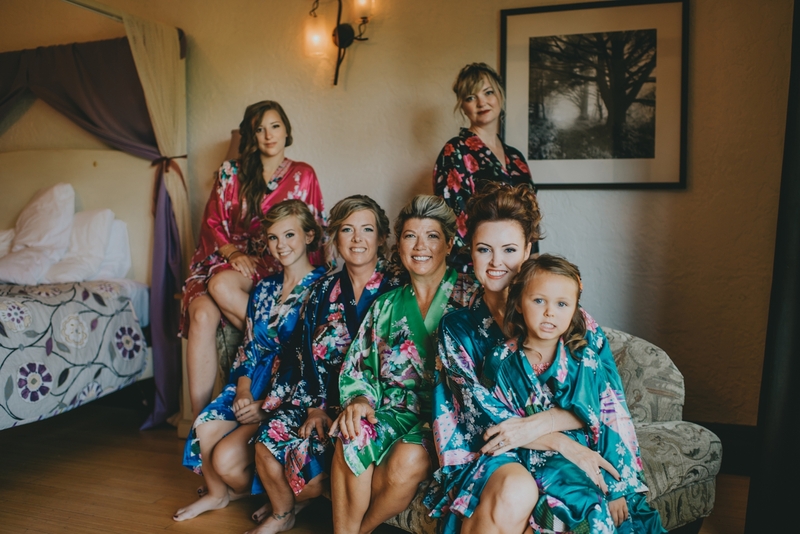 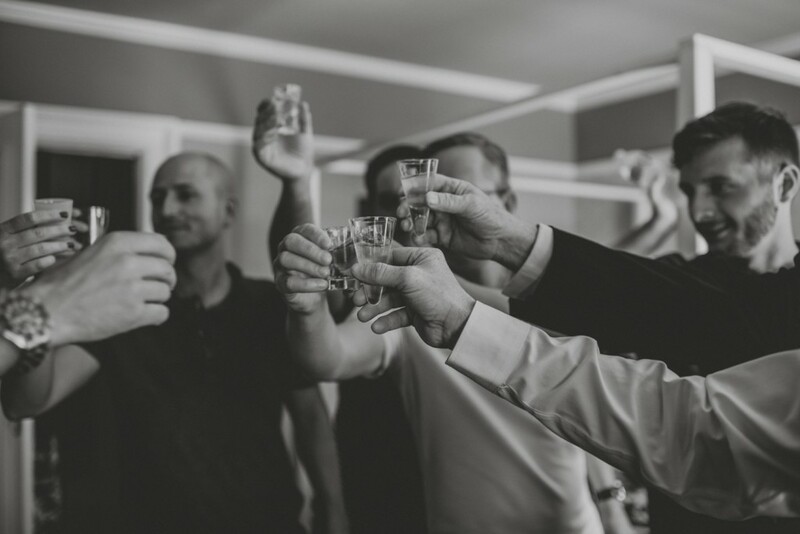 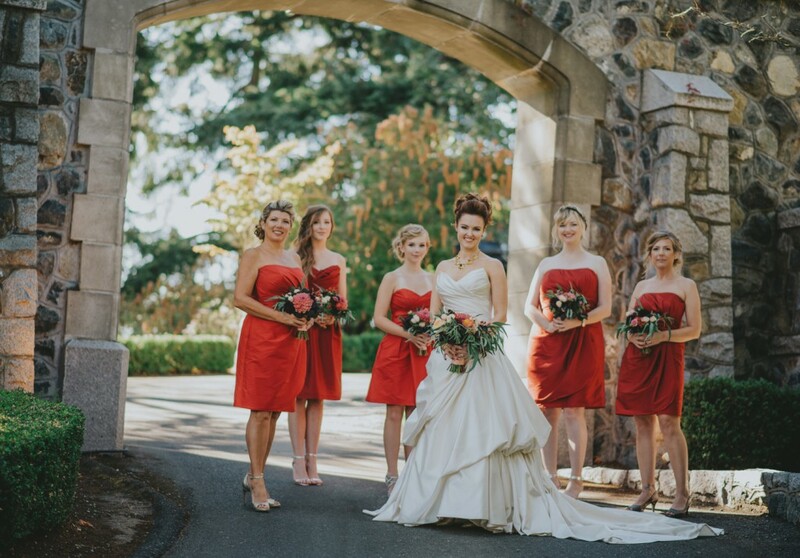 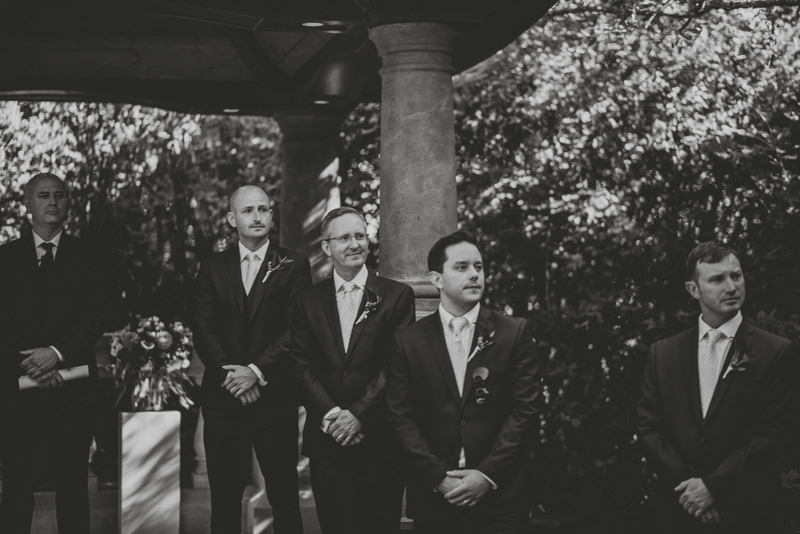 Capturing this stunning bridal party was an experience full of nothing but smiles. 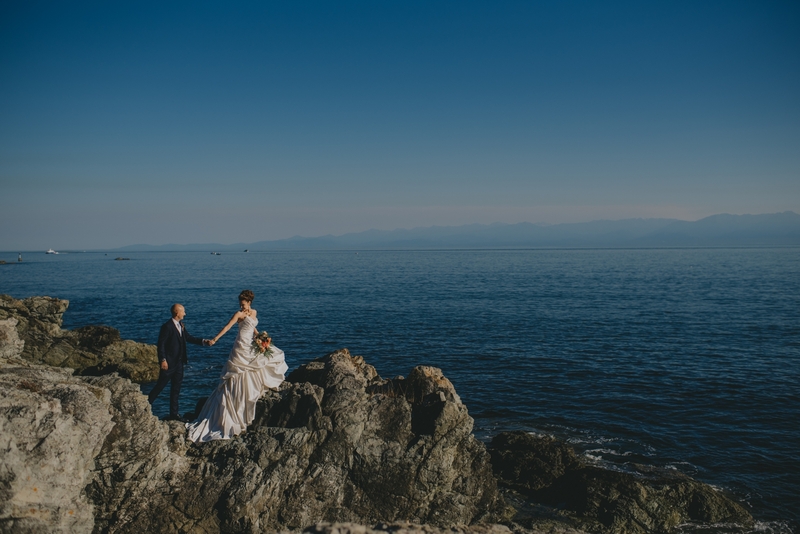 The three of us then headed to the ocean to adventure along the rocks sea side. 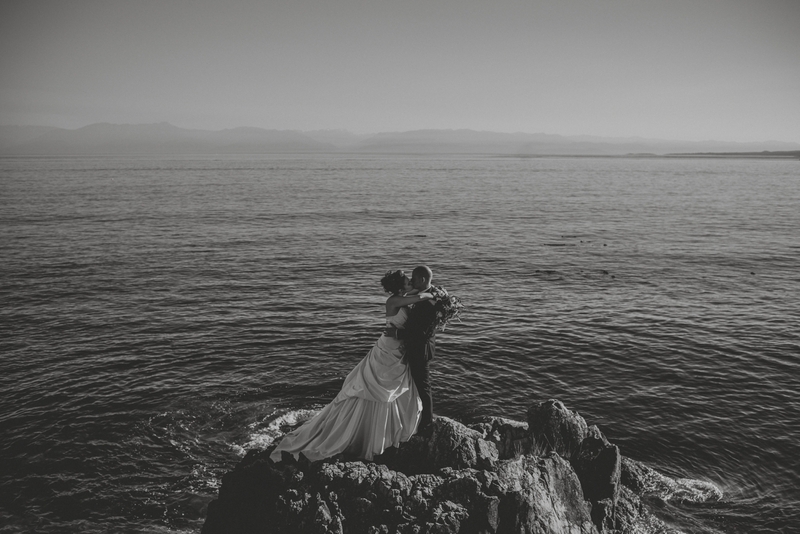 This was a dream to photograph. 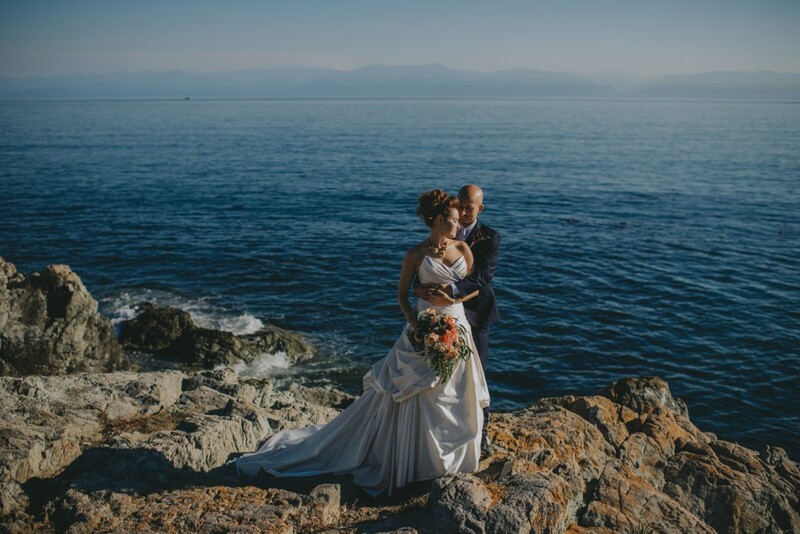 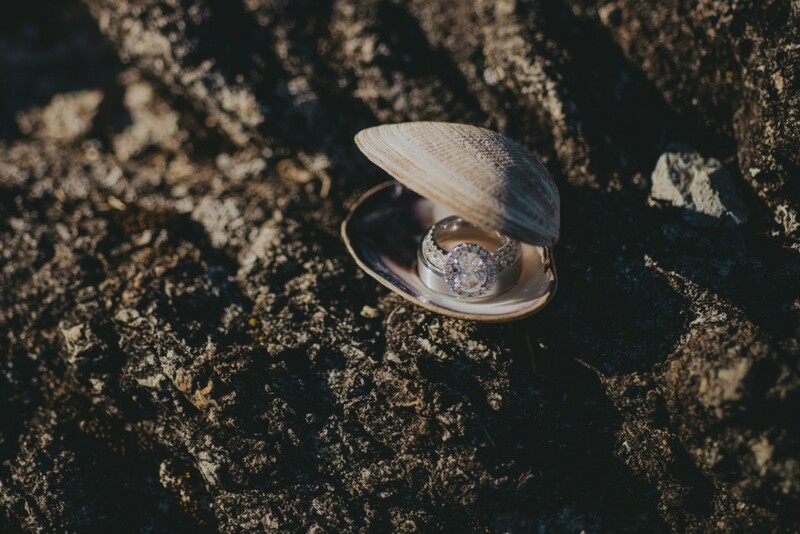 It was a chance for them to have an intimate time together and celebrate being married, and for me to drool over the whole scene as they were backed by the ocean with mountains in the distance! 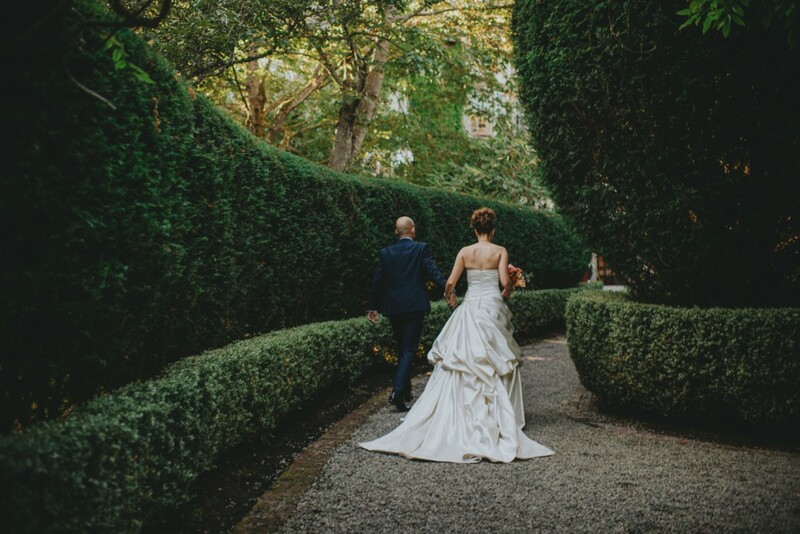 We headed back to the English Inn and chased light through the lush green hedges before making our way to cocktail hour. 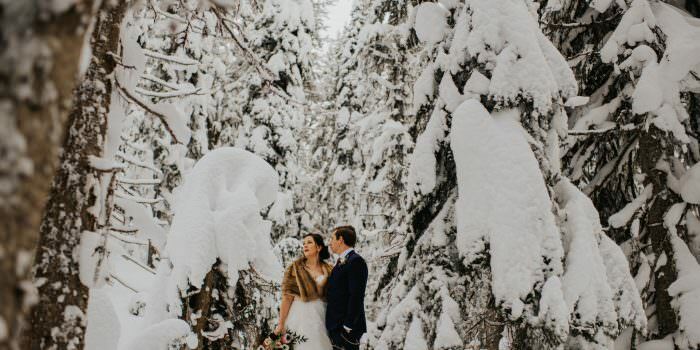 Their reception area was nothing but stellar. 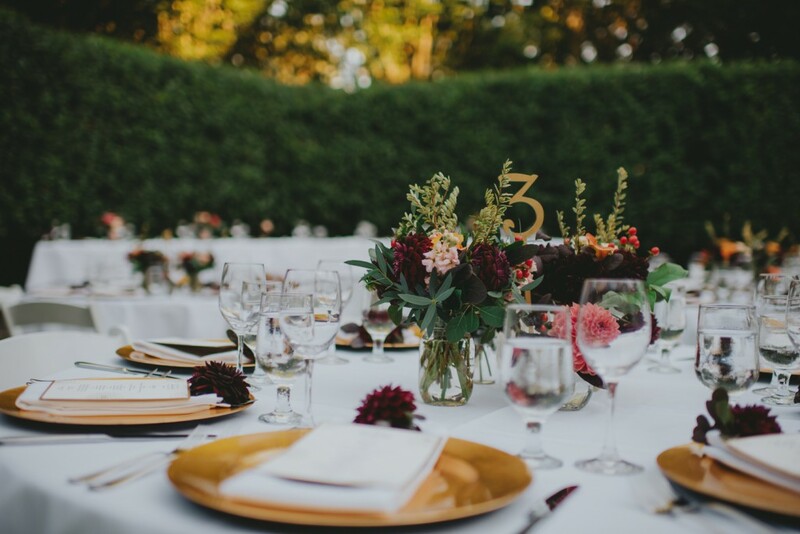 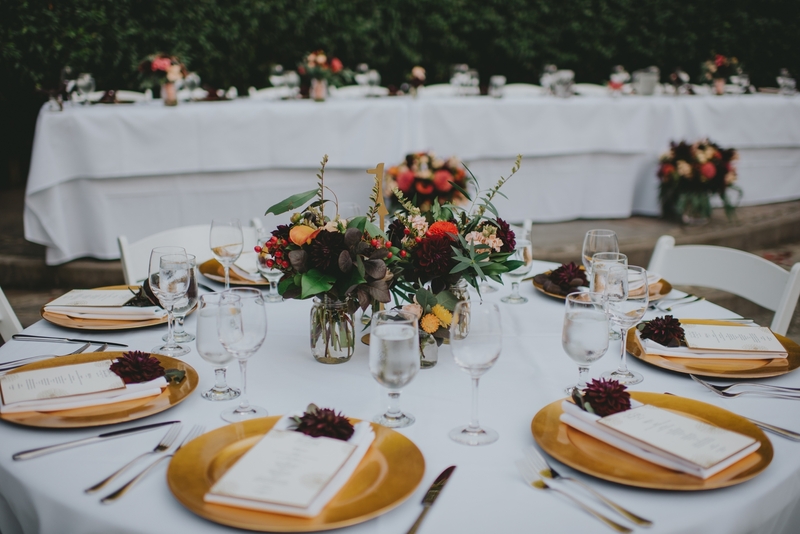 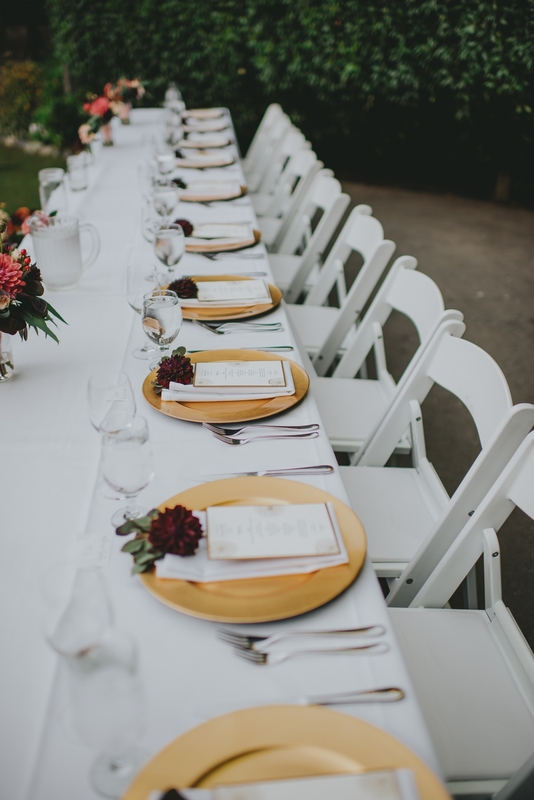 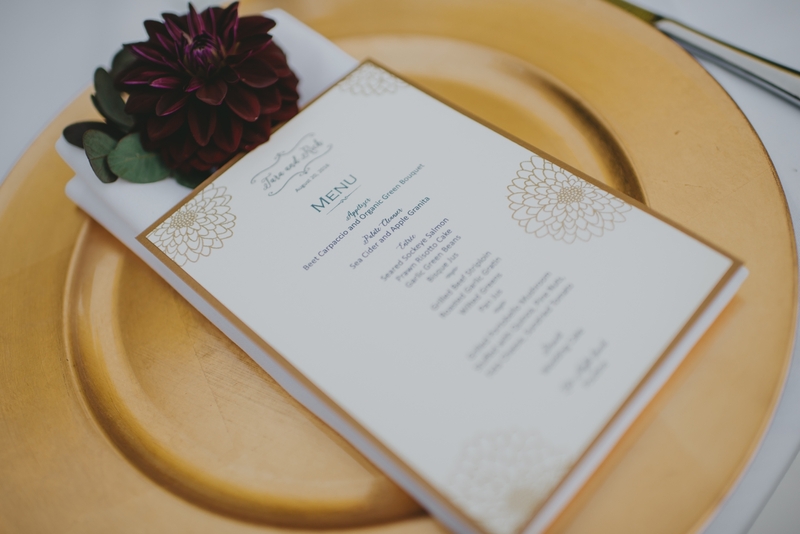 The white tables with gold accents, along with stunning floral, gave such a darling feel throughout the dinner and speeches. 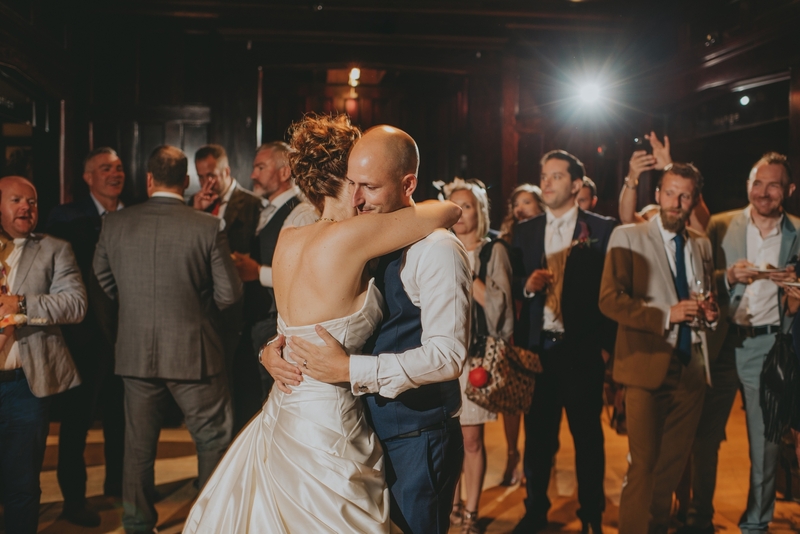 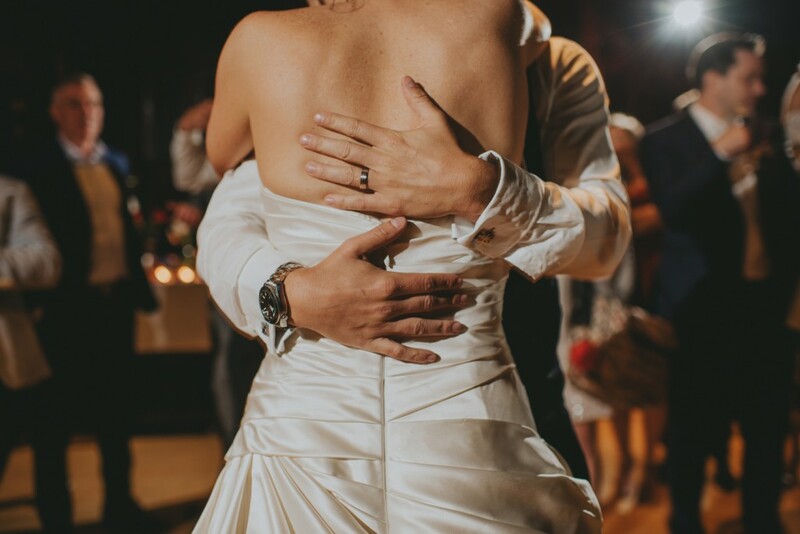 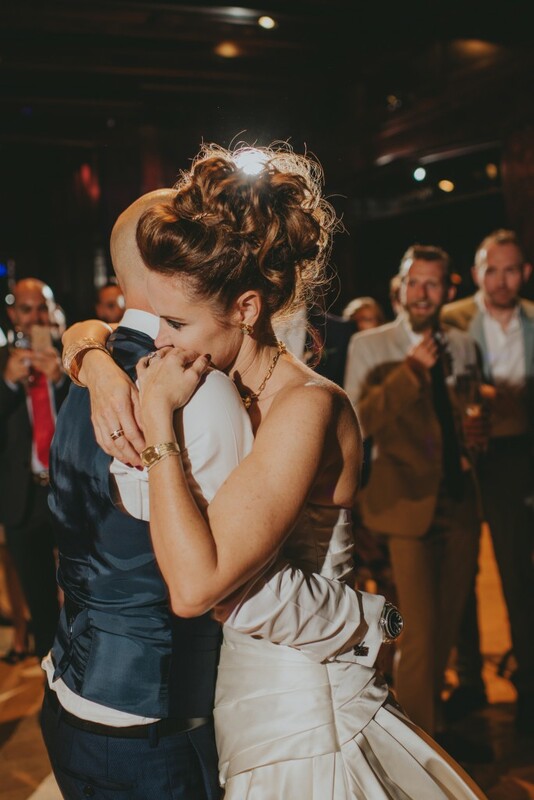 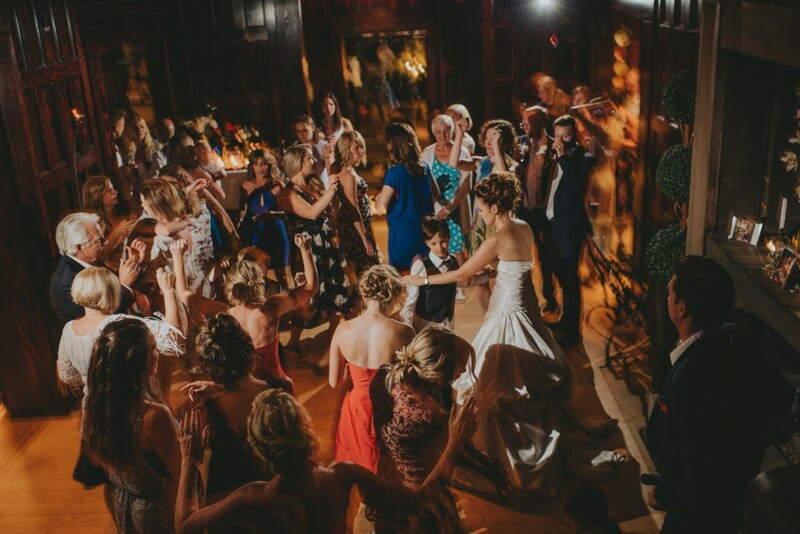 After everyone was finished, we headed inside for their first dance. 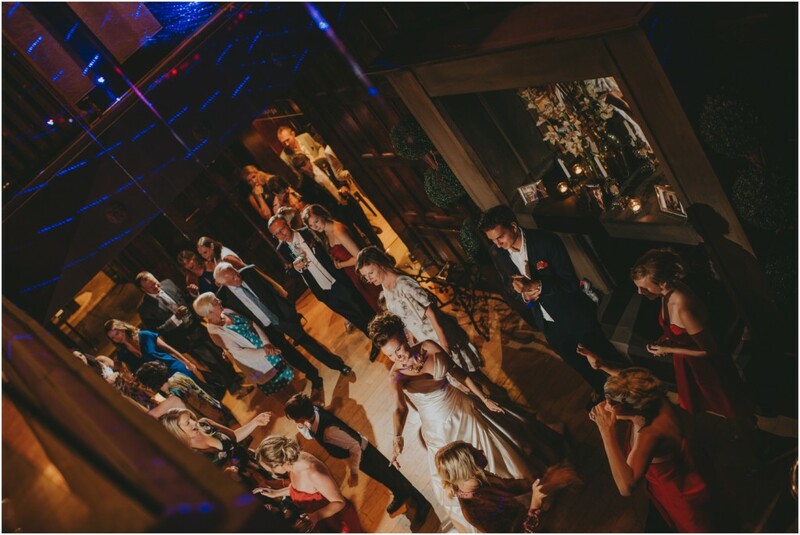 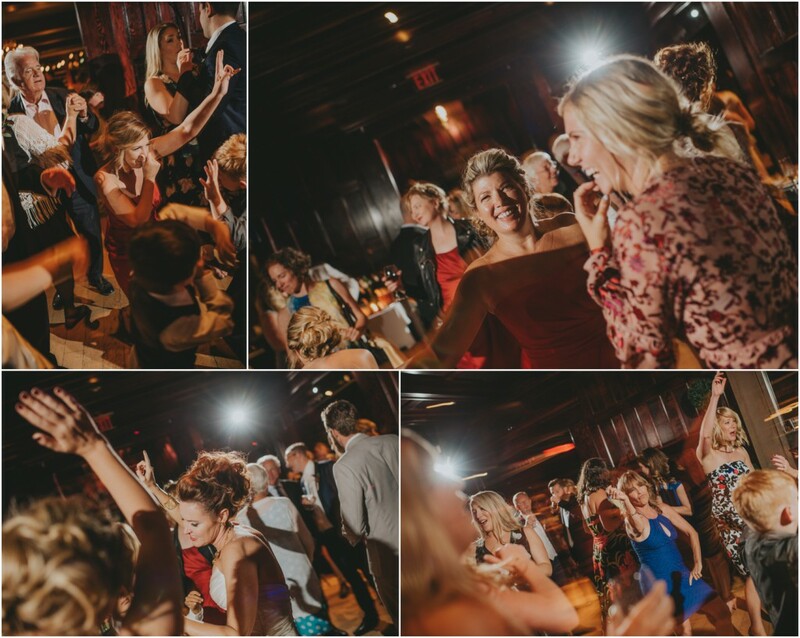 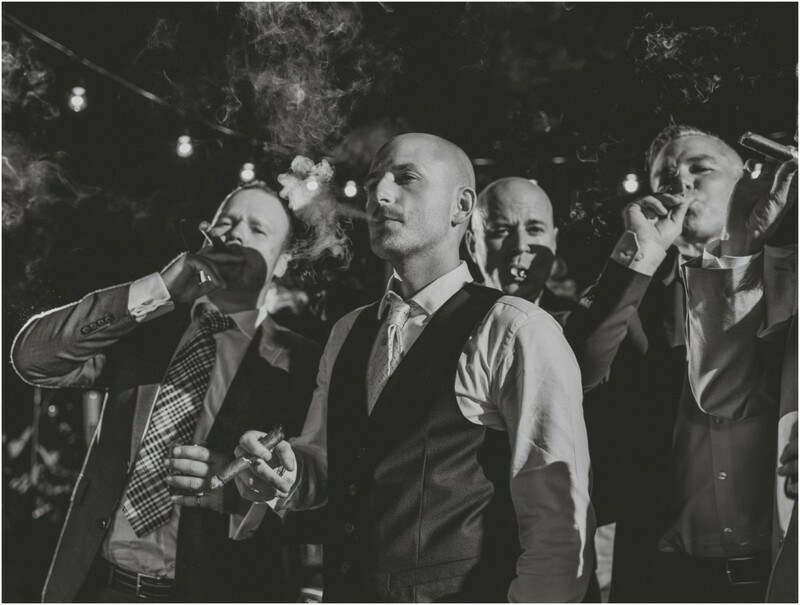 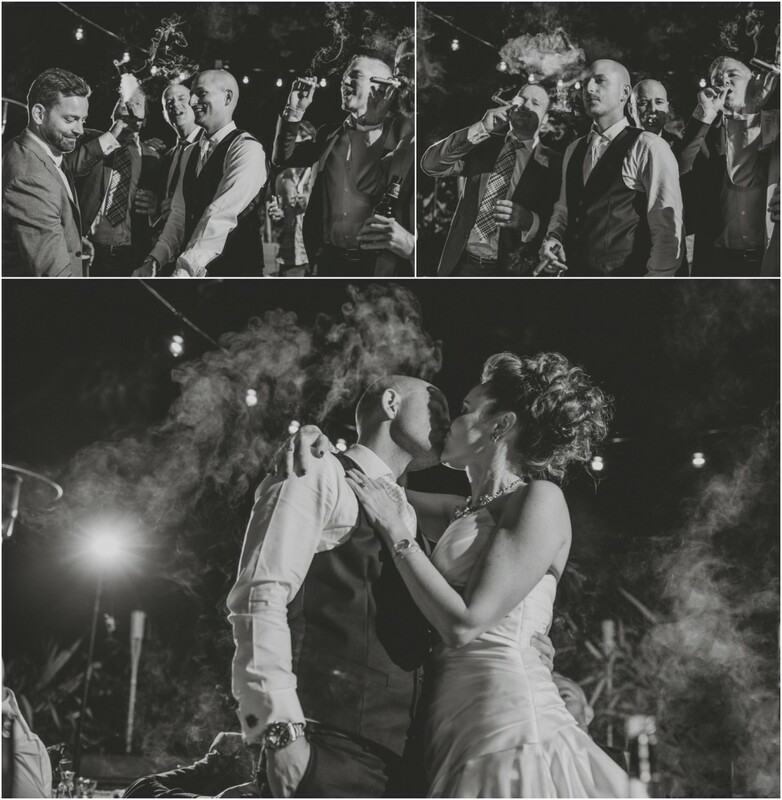 Moments after, everyone flooded the dance floor and kicked off what was an awesome night of laughs, cigars, dance moves and a lot of love! 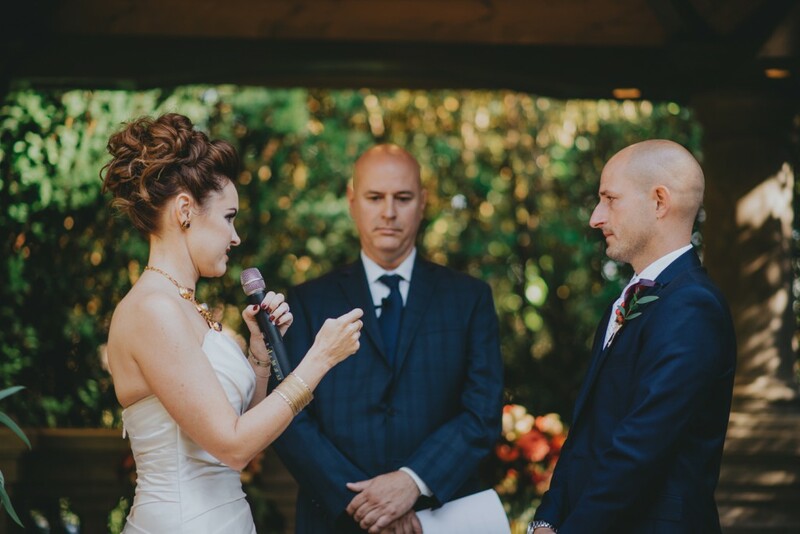 I can’t say thank you enough to Rich and Tara. 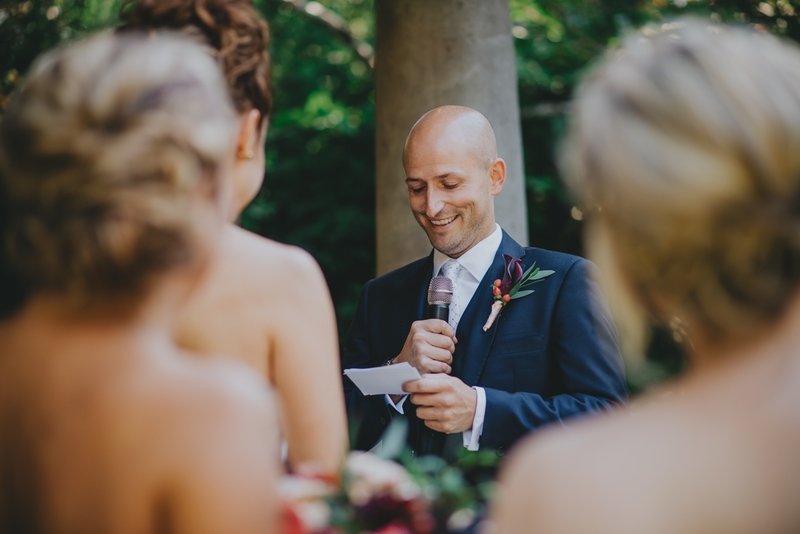 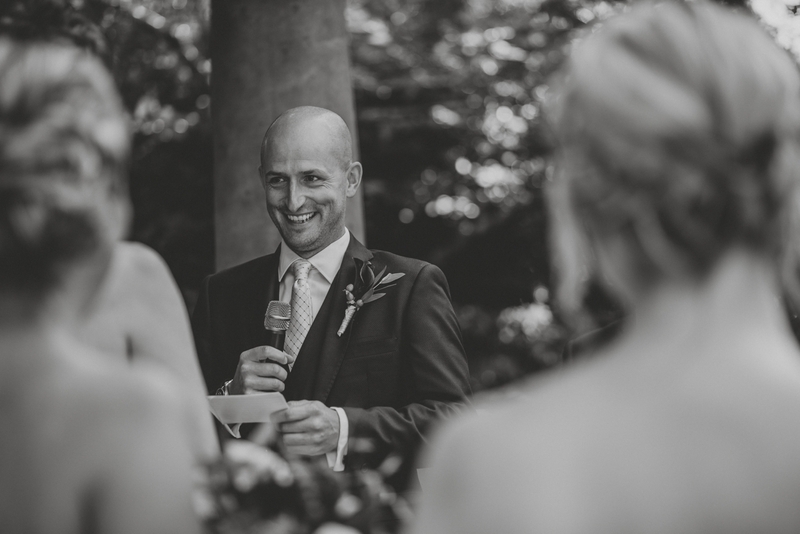 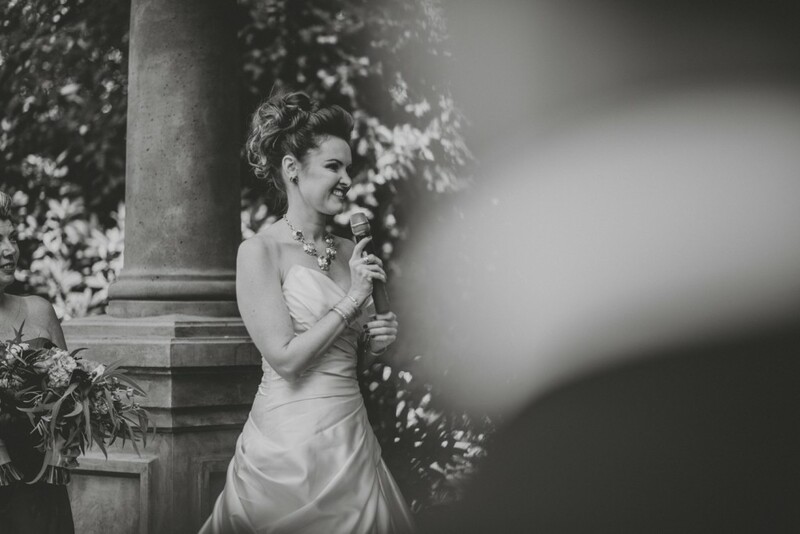 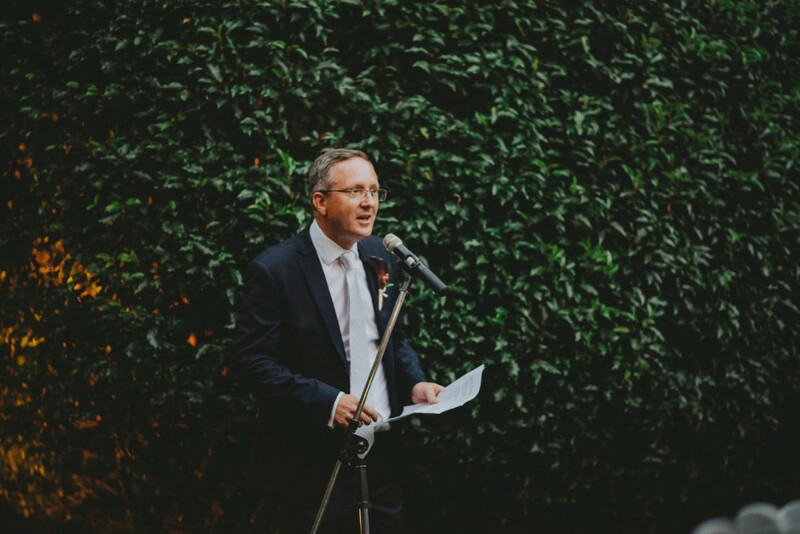 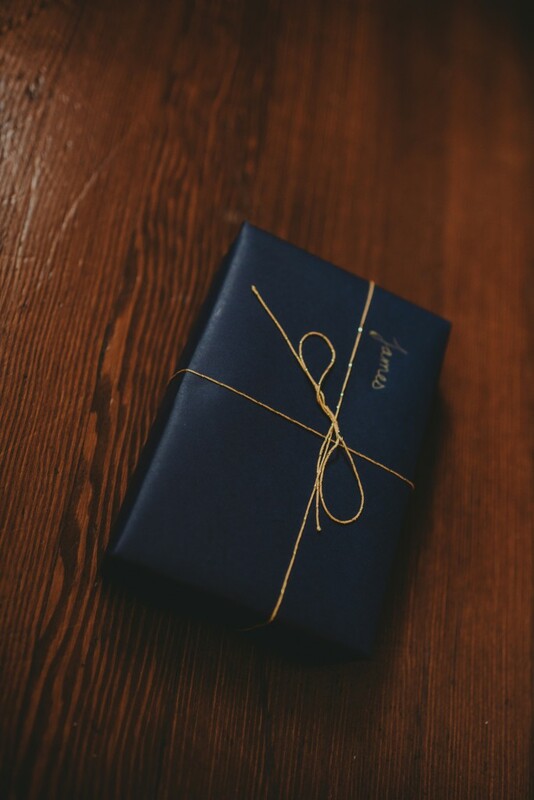 I left this wedding day feeling truly honoured to do what I do for a job. 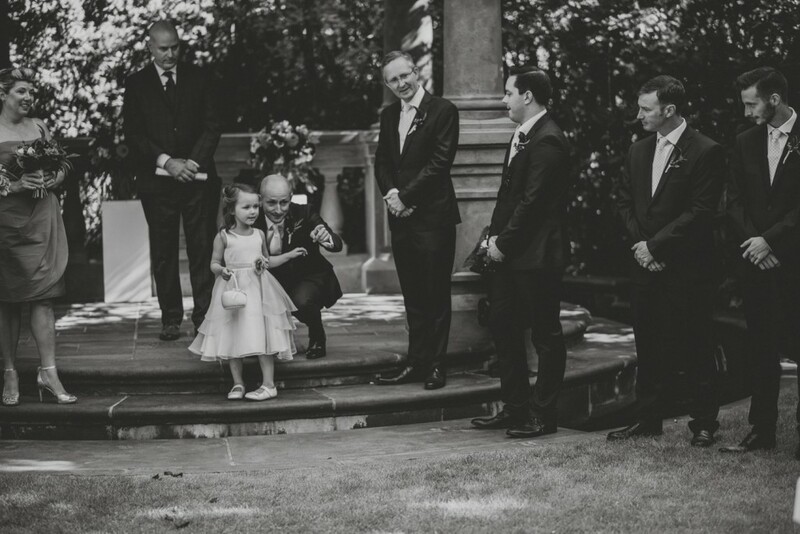 Being part of their day was something I’ll never forget, let alone seeing Victoria for the first time. 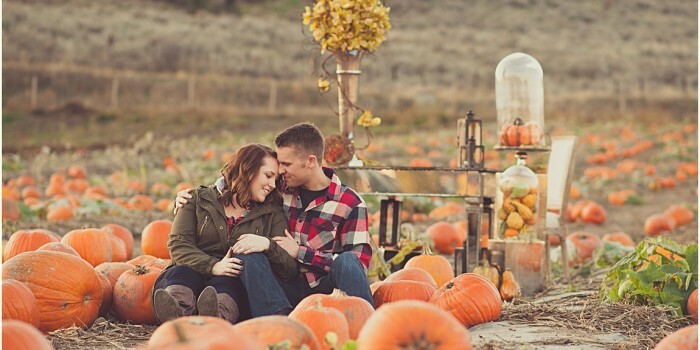 You two have such a love that a lot of people only dream about! 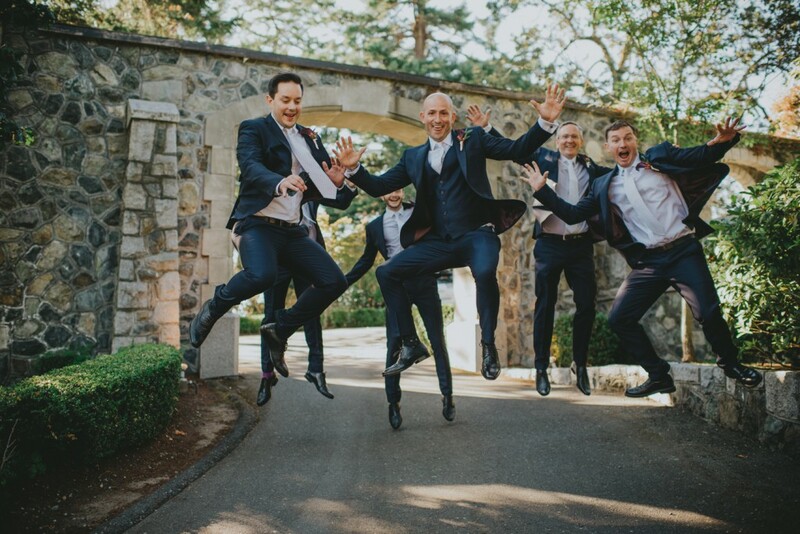 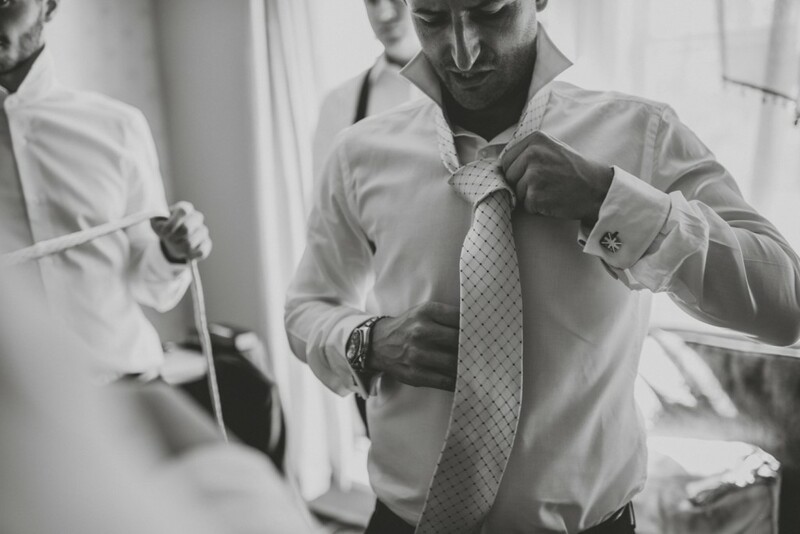 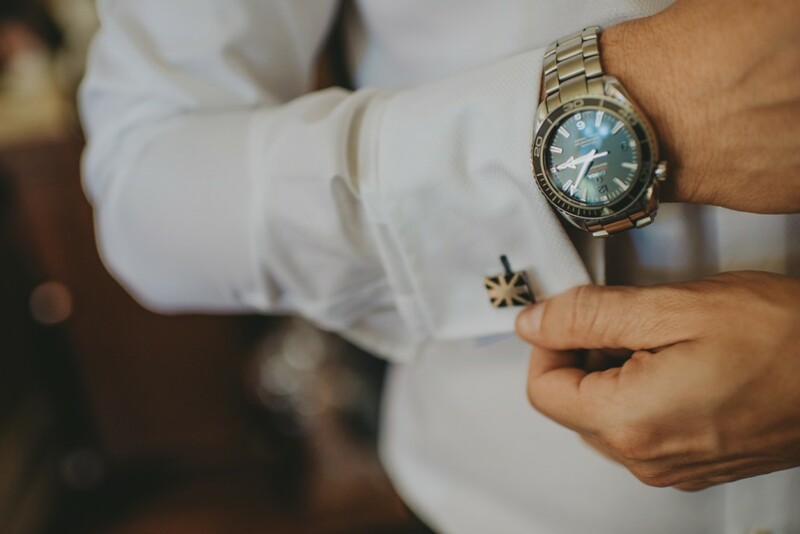 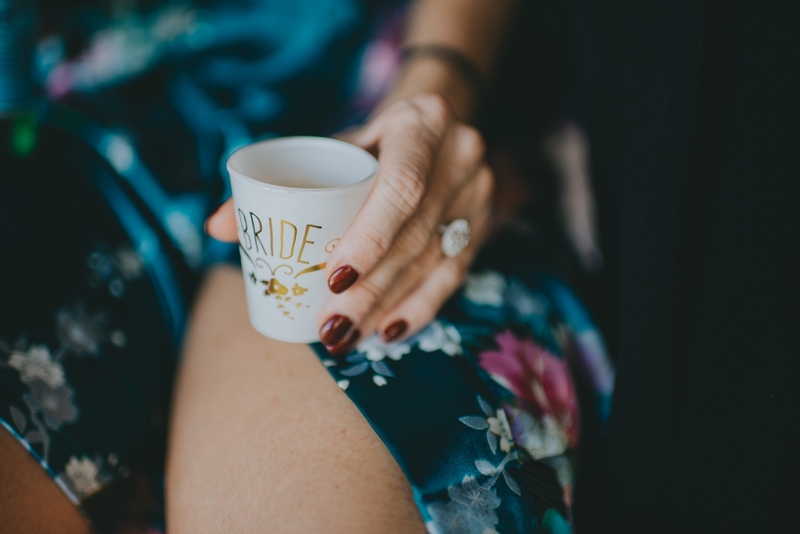 Now on with your wedding day below!